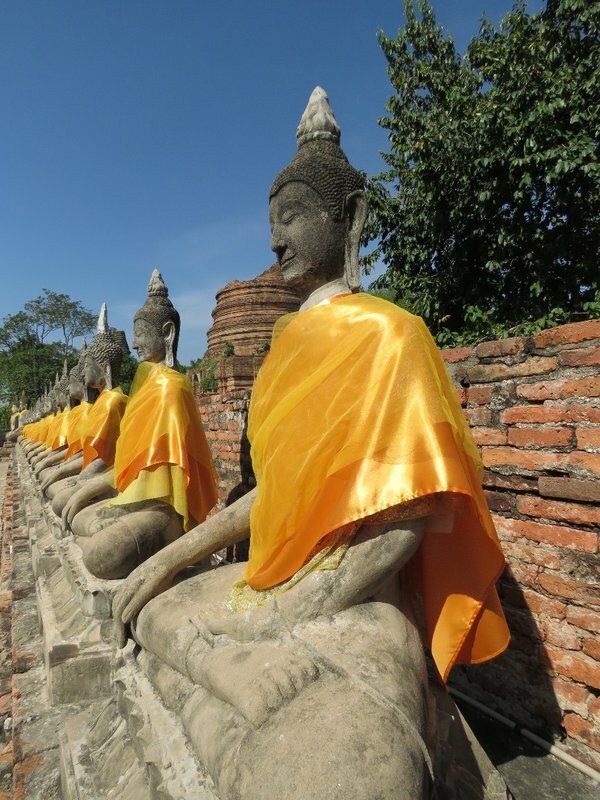 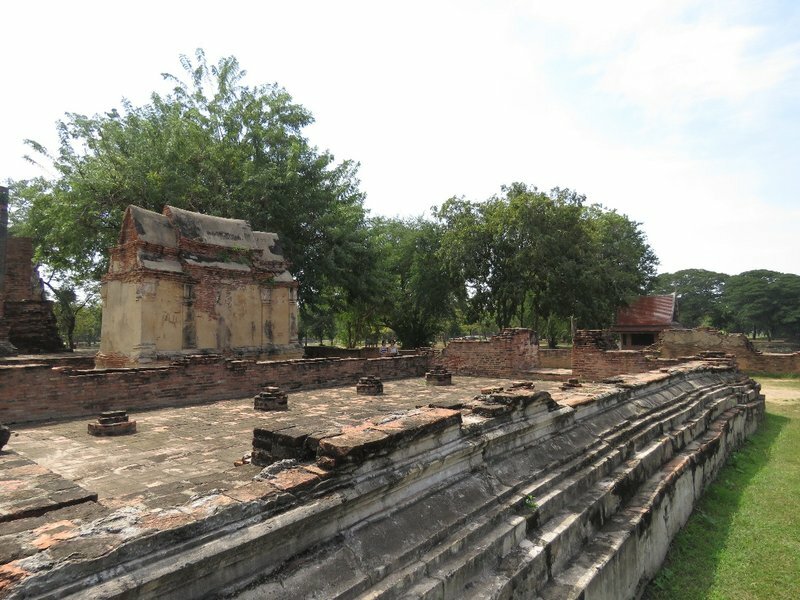 Ayutthaya was a former capital of Ayutthaa kingdom. 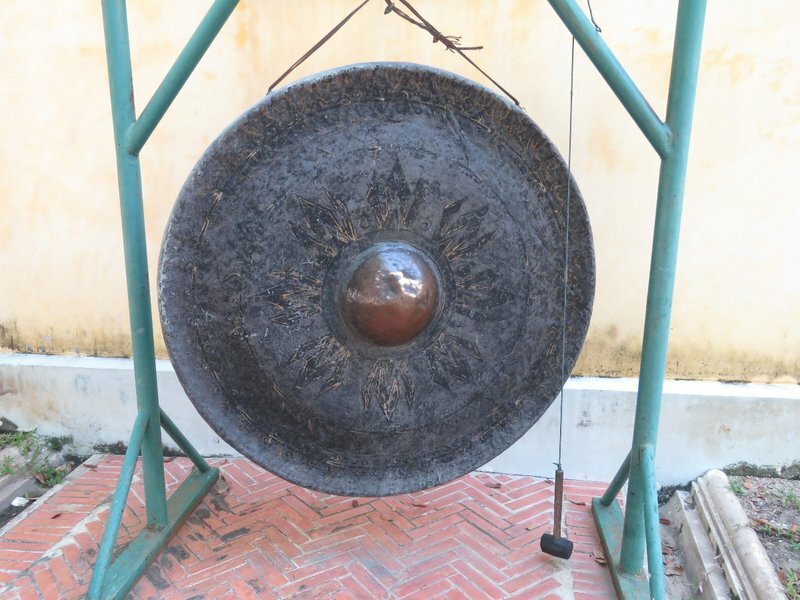 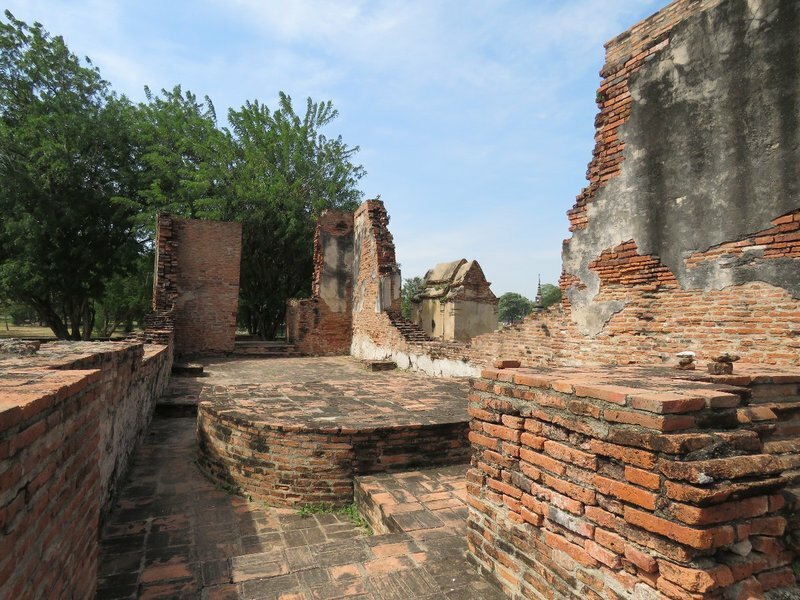 This city was founded in 1350 by King U Thong and was destroyed by the Burmese. 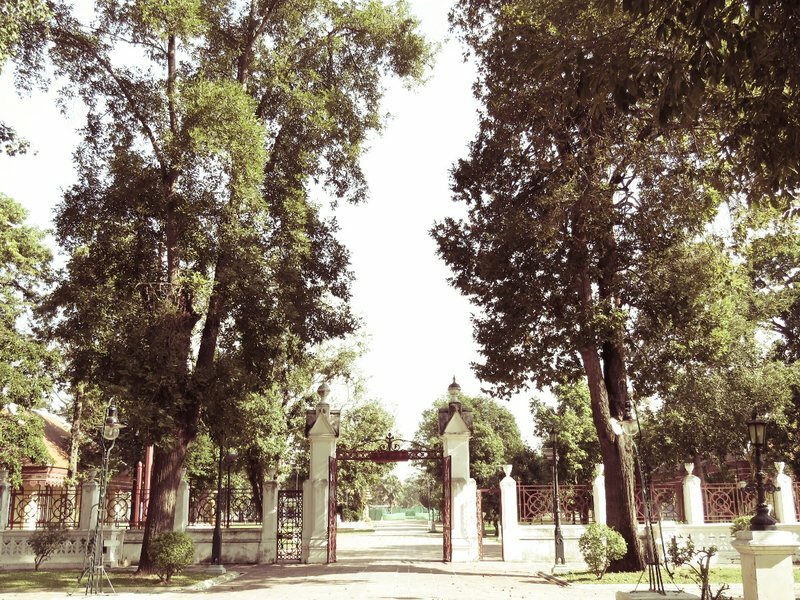 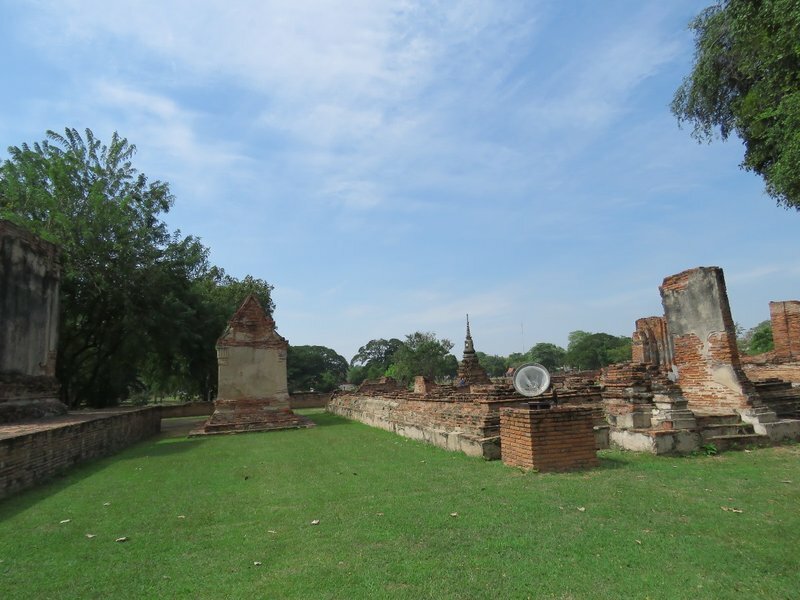 Since there are lots of heritage here, the ruins was recognised as a UNESCO WORLD HETITAGE SITE. 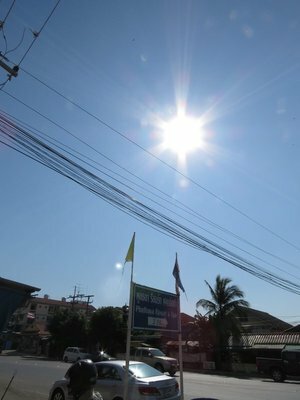 We drove from Bangkok in very early morning in order to avoid the traffic jam. 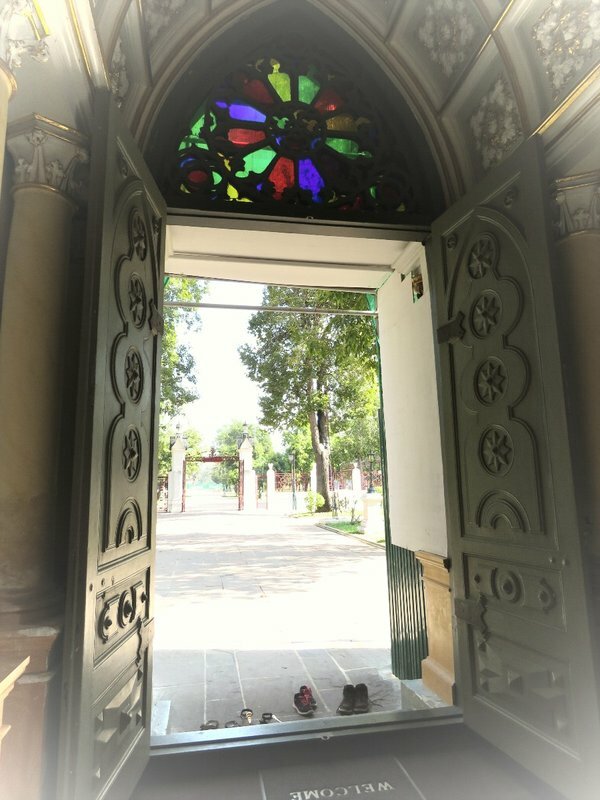 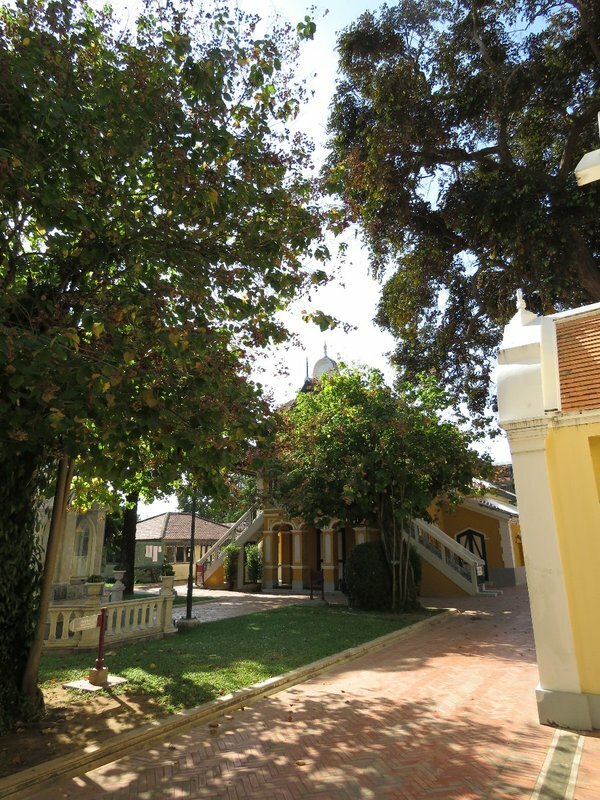 After an hour, we arrived our first stop, Wat Niwet Thammaprawat, a Western style Gothic architecture Buddhism Temple located in an island near Bang Pa-In Palace. 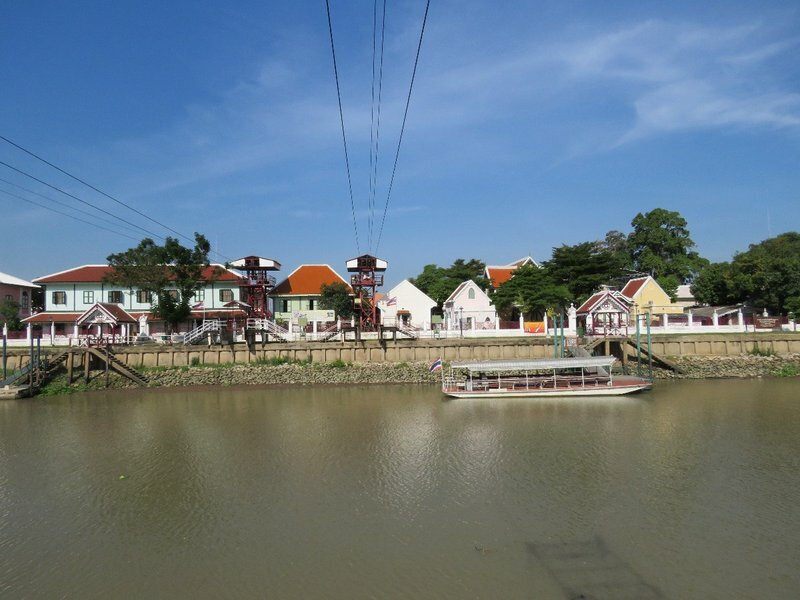 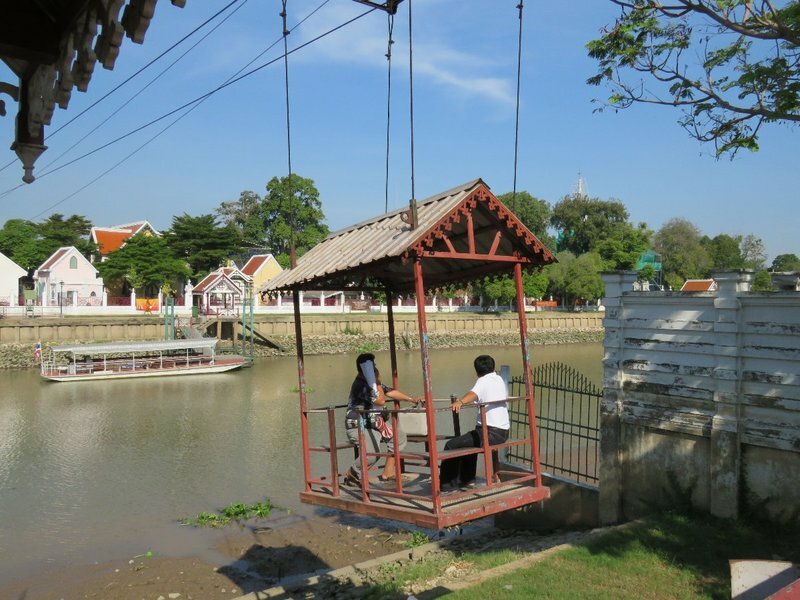 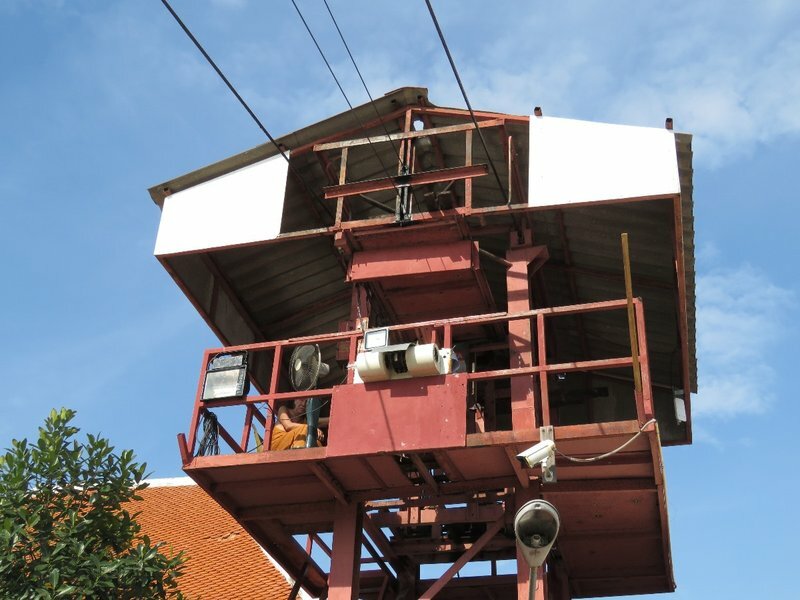 Since this Wat (Temple) is located in an island without any road, a monk used a cable car to deliver us to the island. 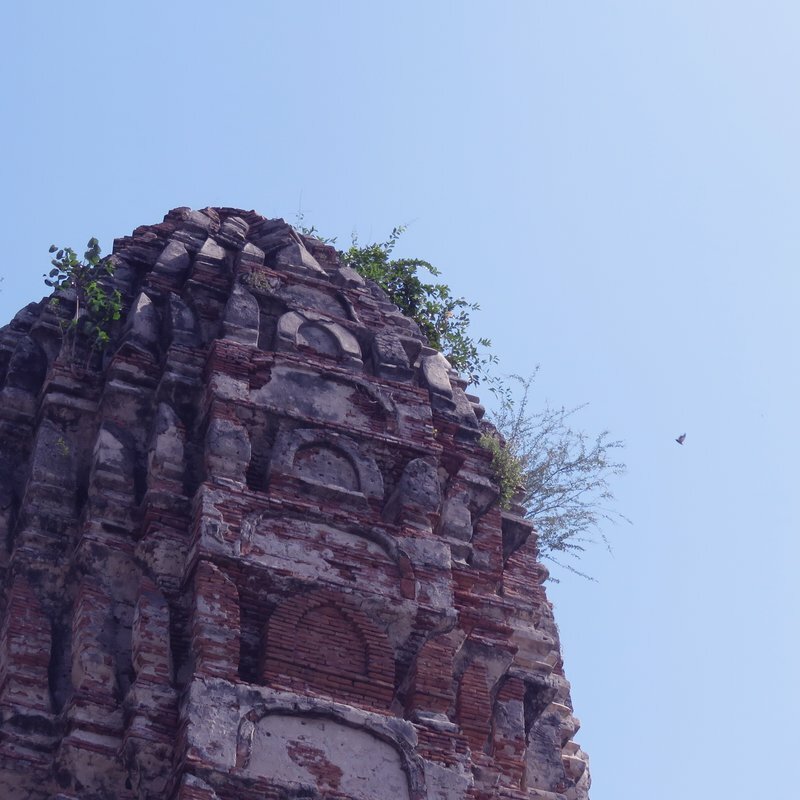 It’s quite exciting and special to visit a temple needed to across the river. 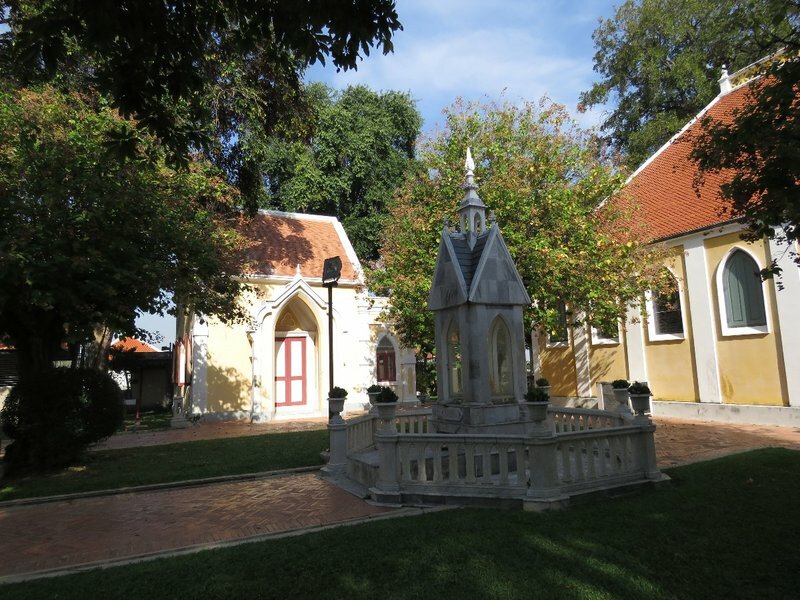 Before arrived the main “cathedral “, there are lots of Western gardens and houses. 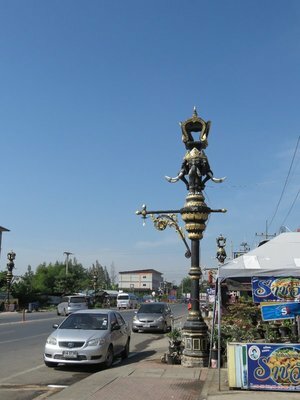 After visited this morden Temple, we then went to a pit-stop to buy some drinks as this place is really really hot!!!! 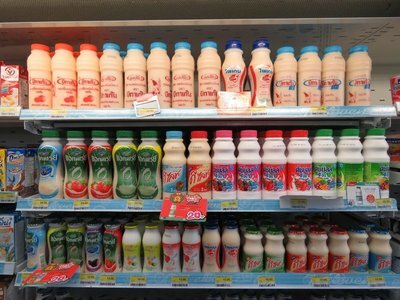 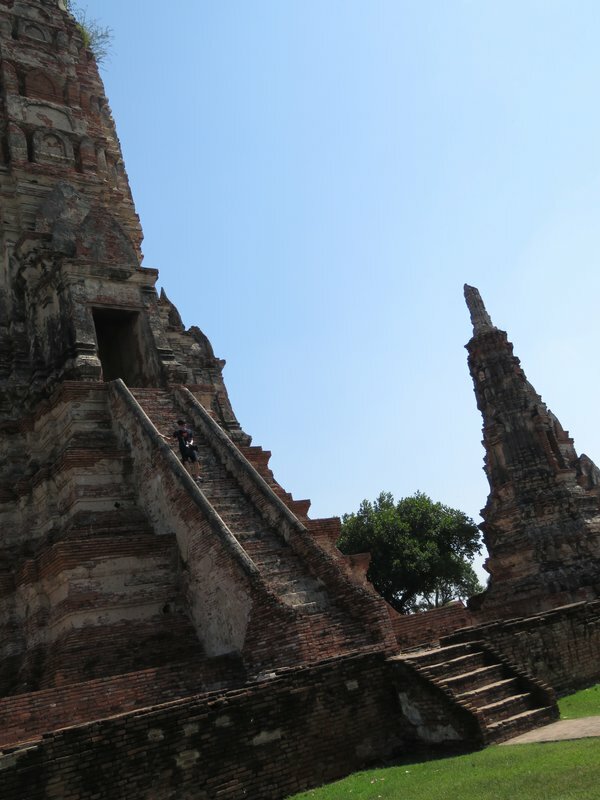 We shopped in 7-11 in the Ayutthaya city. 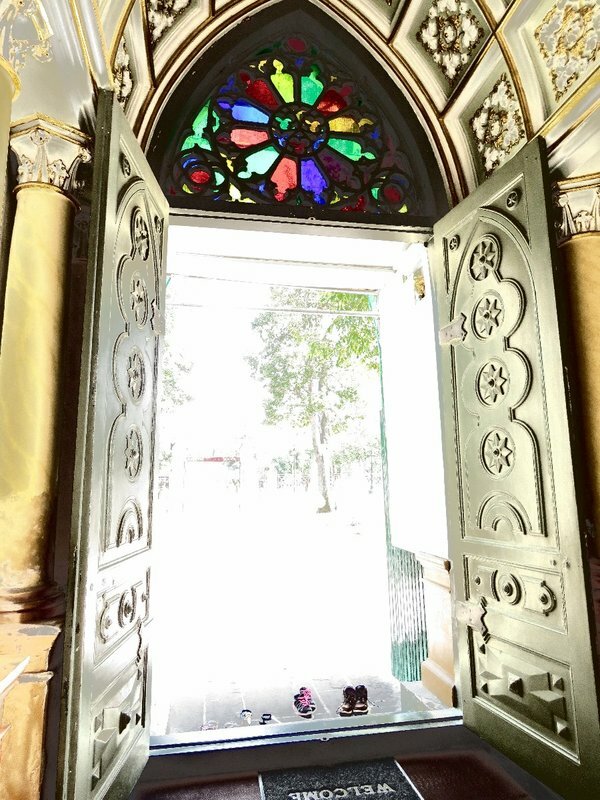 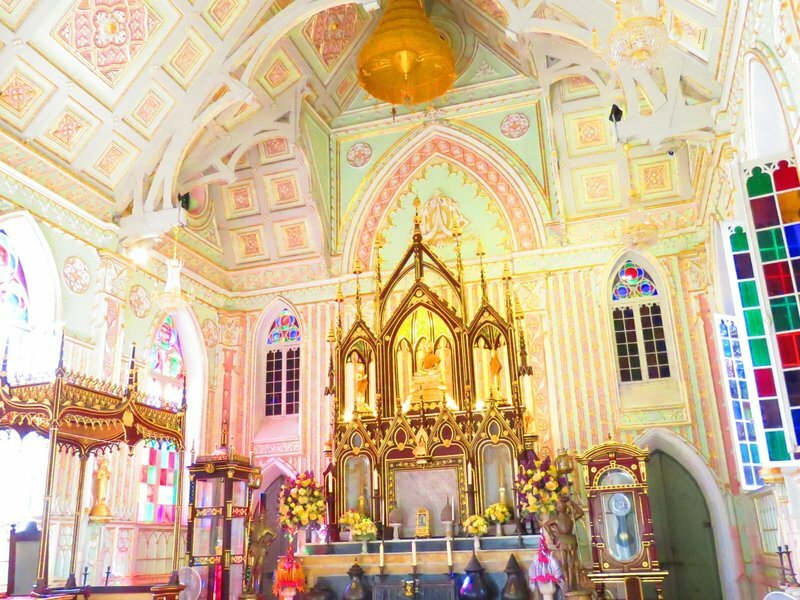 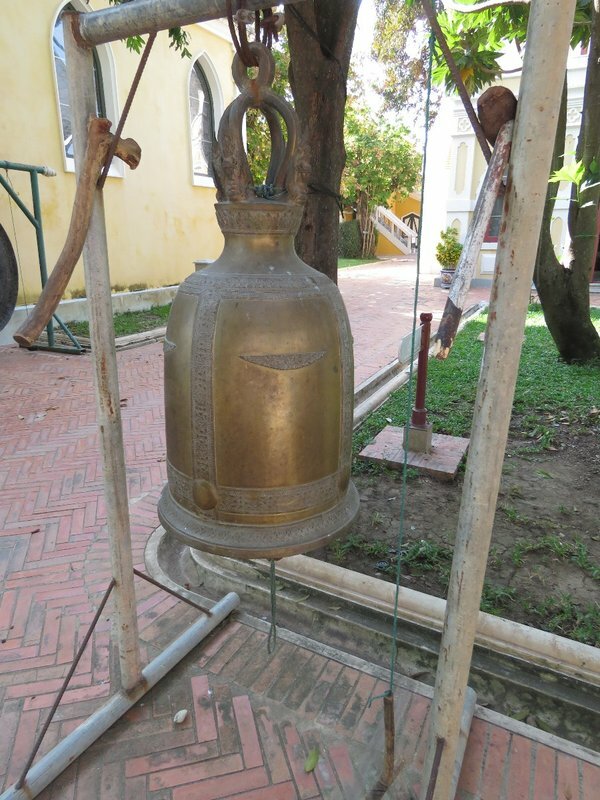 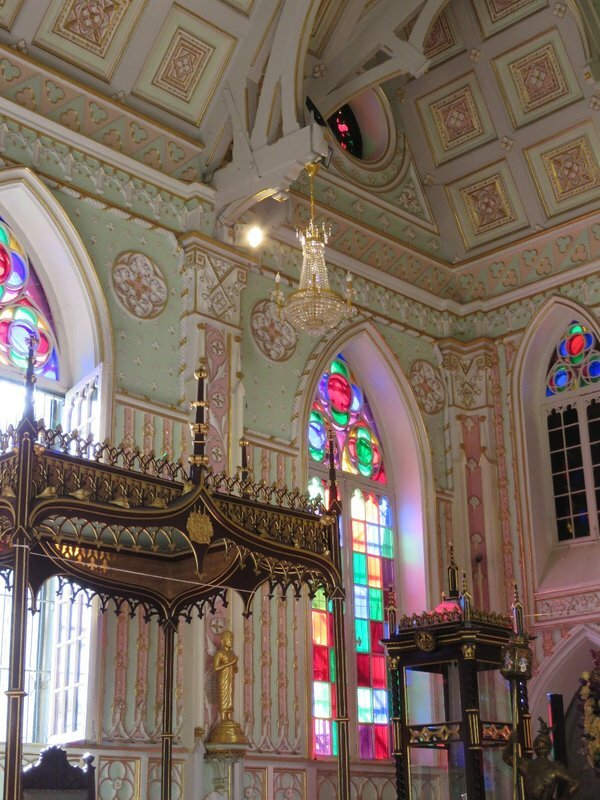 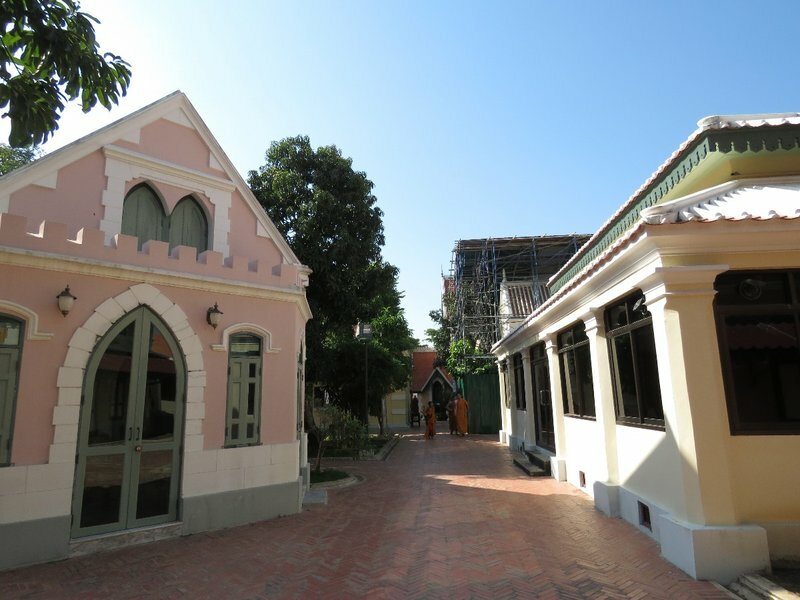 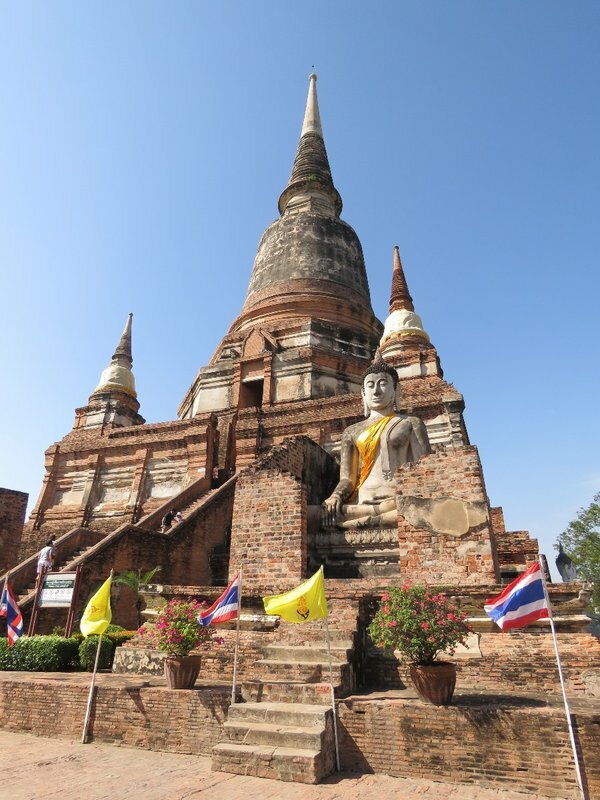 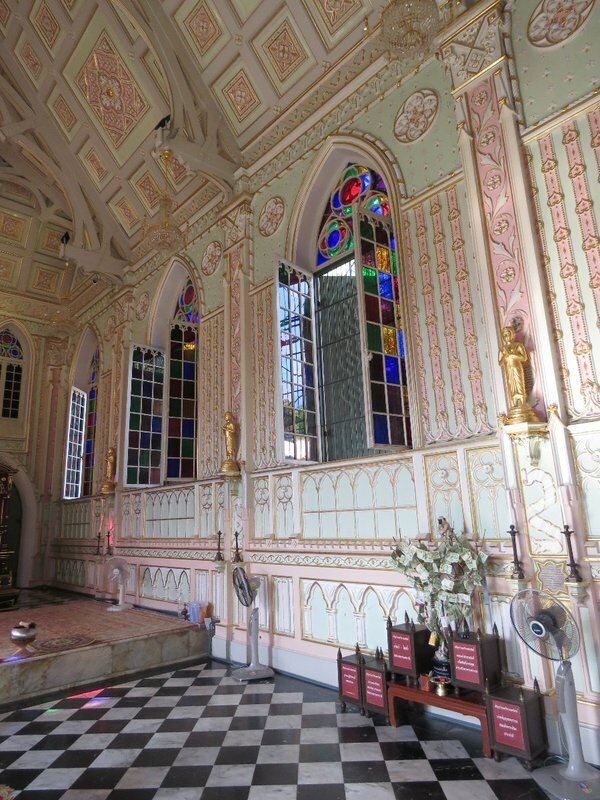 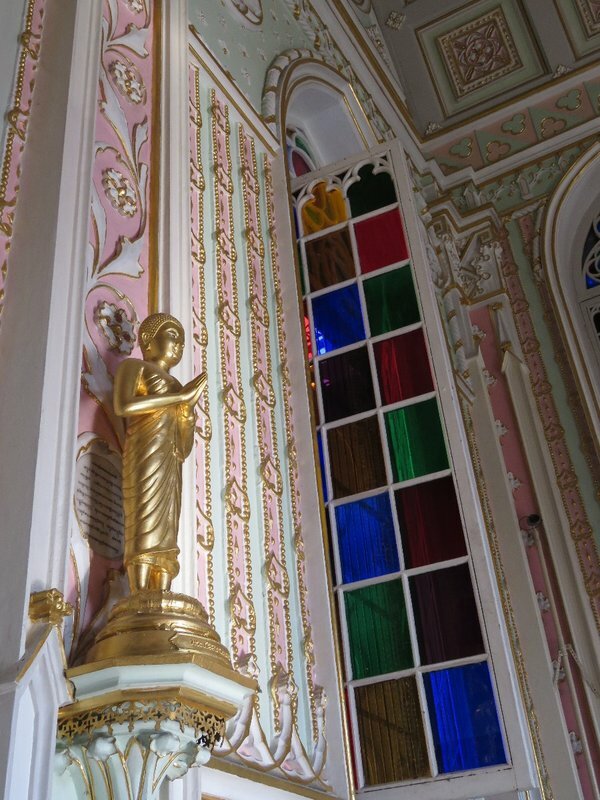 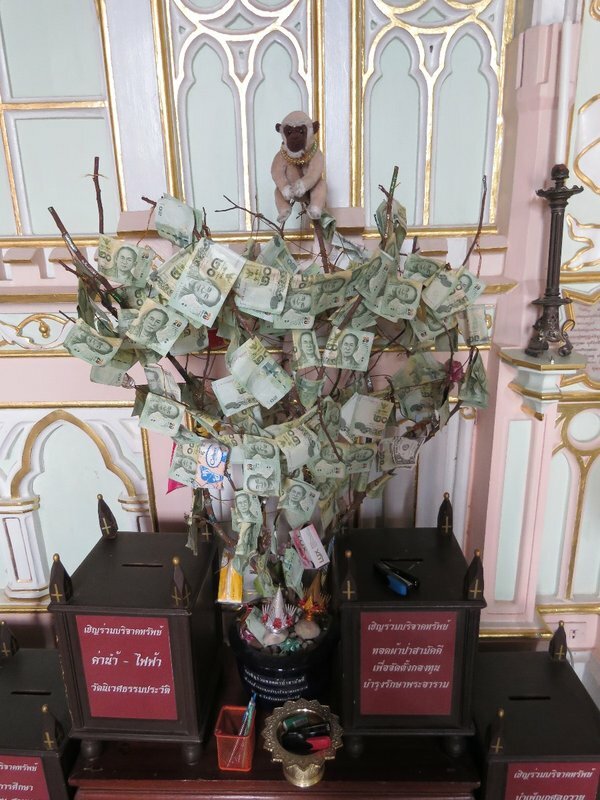 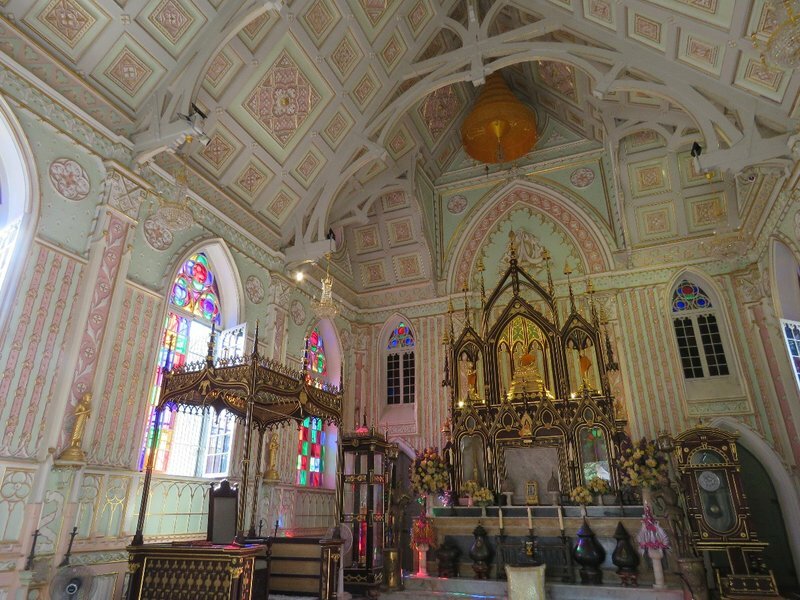 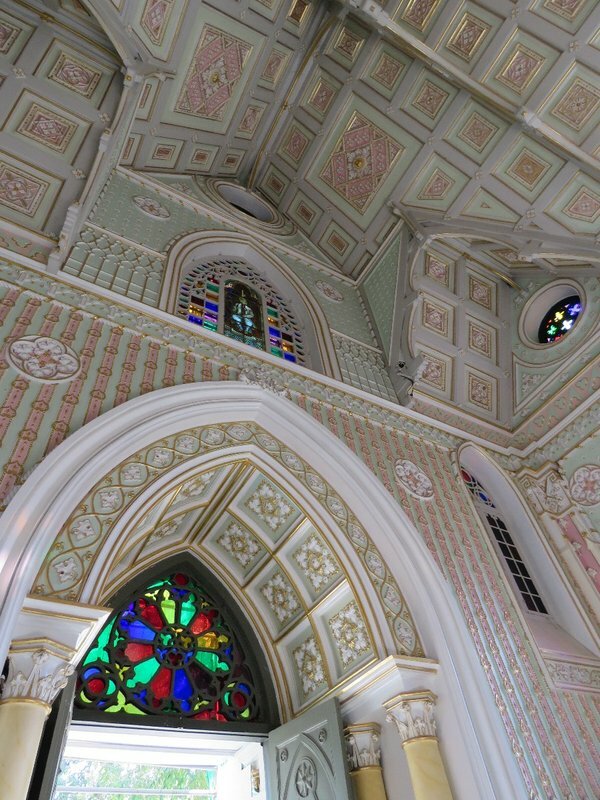 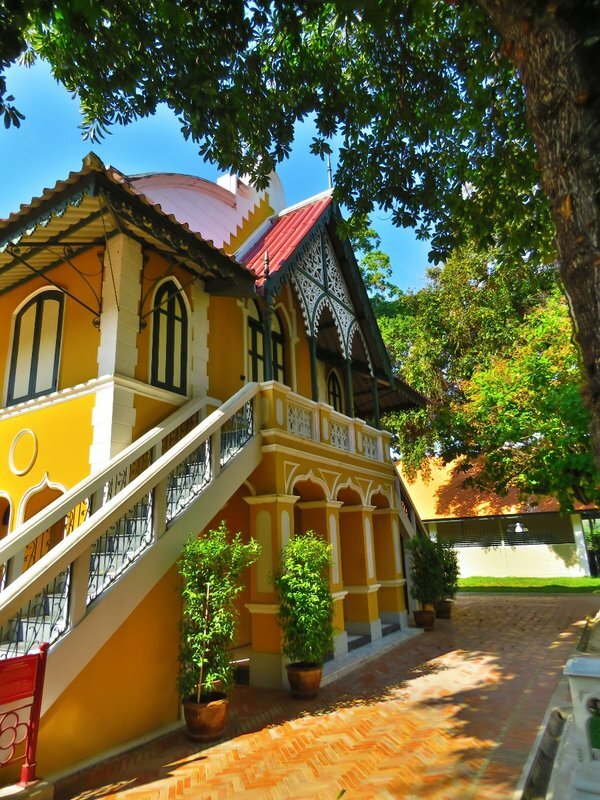 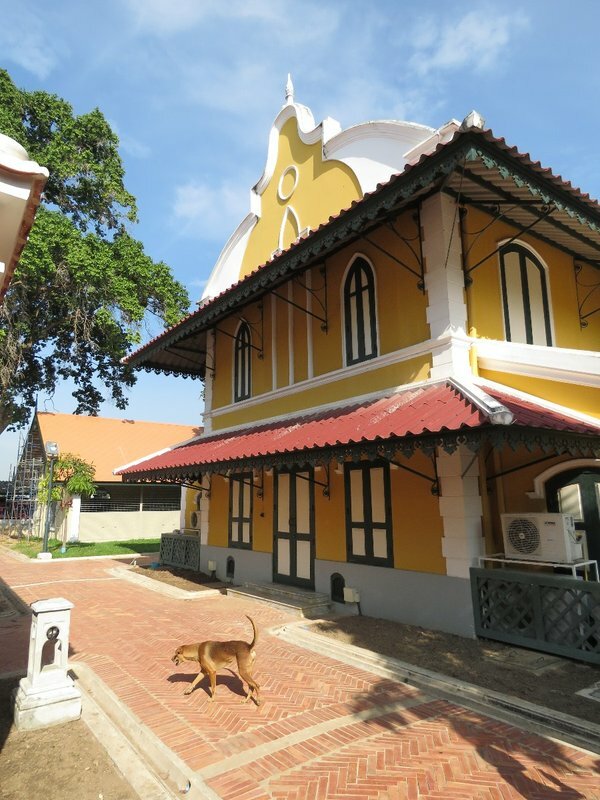 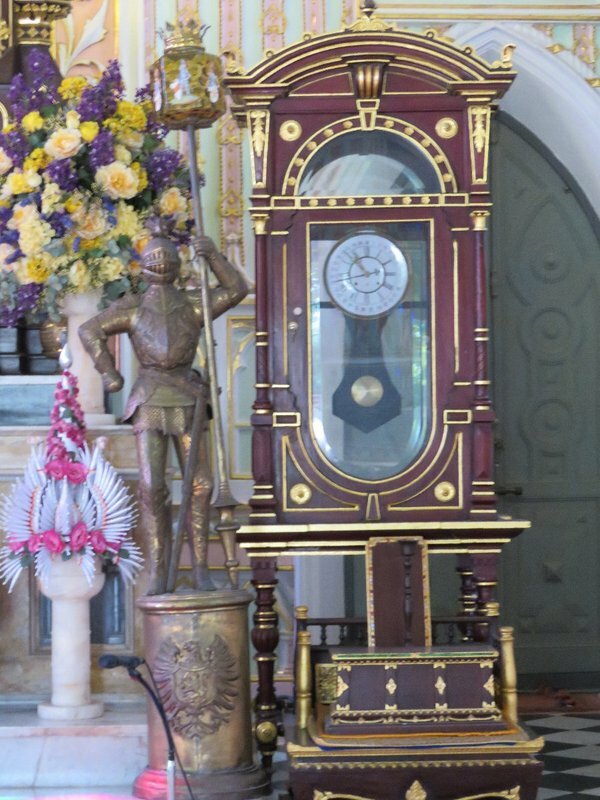 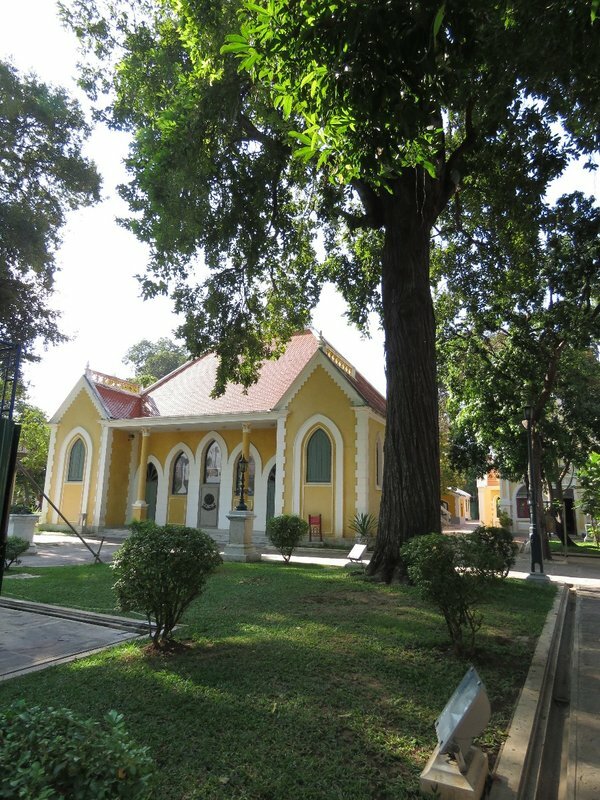 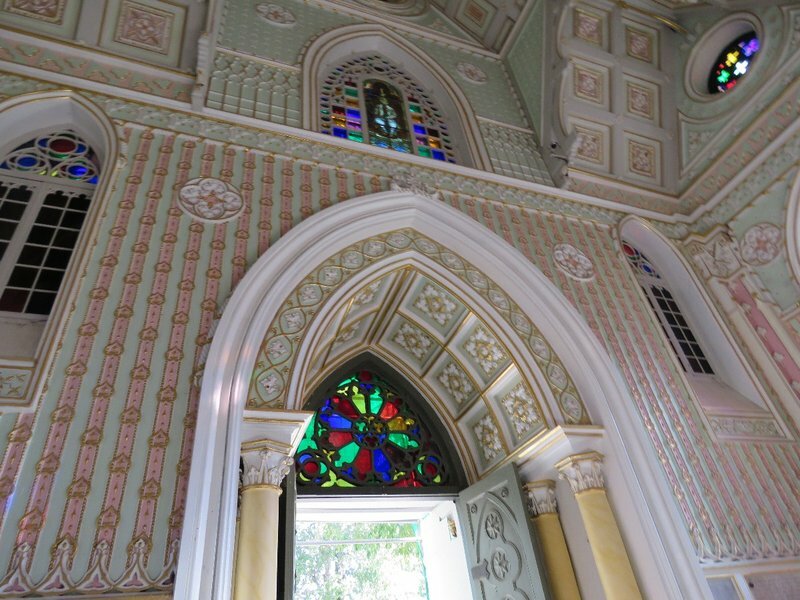 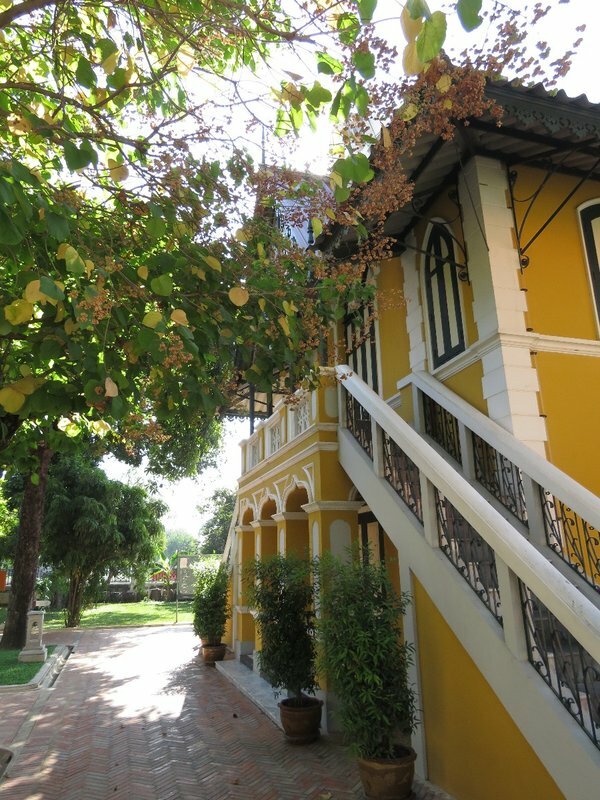 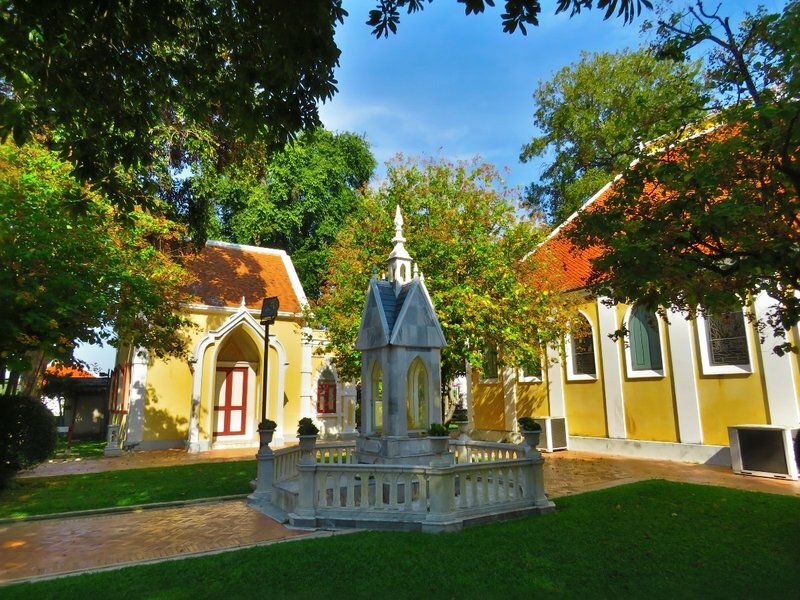 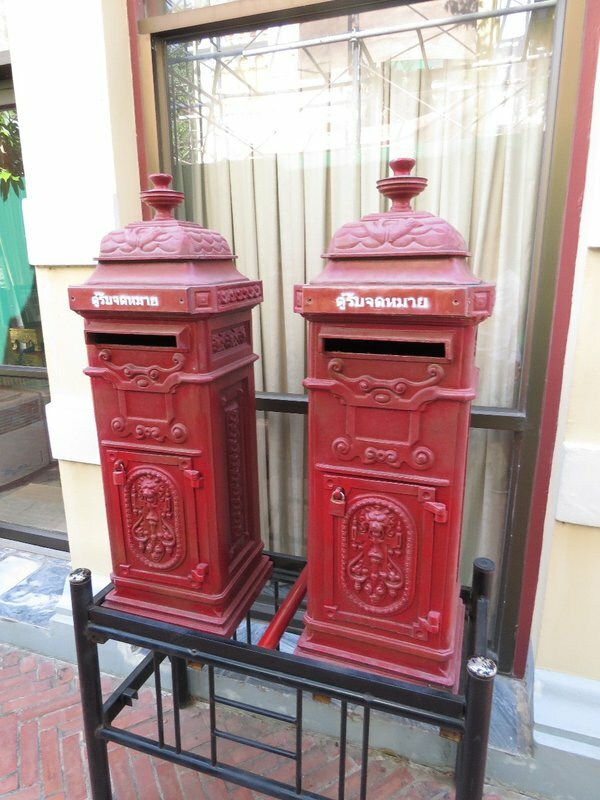 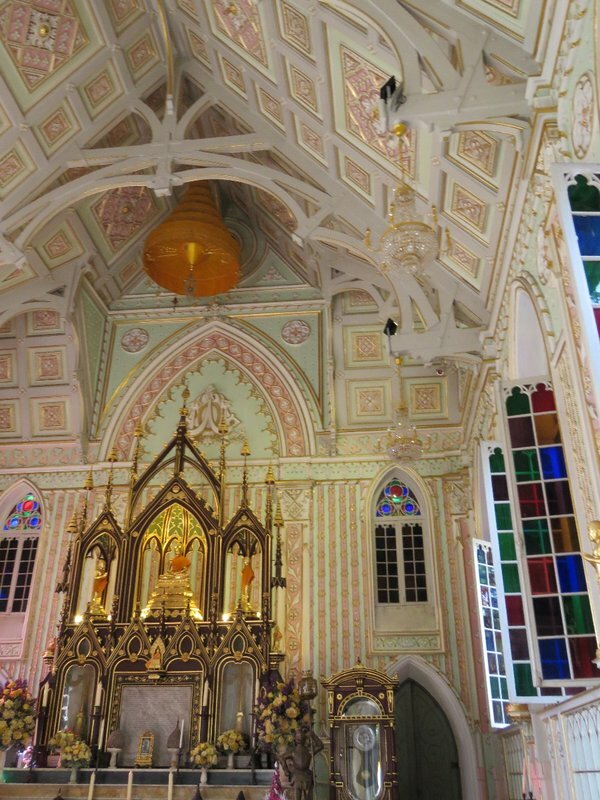 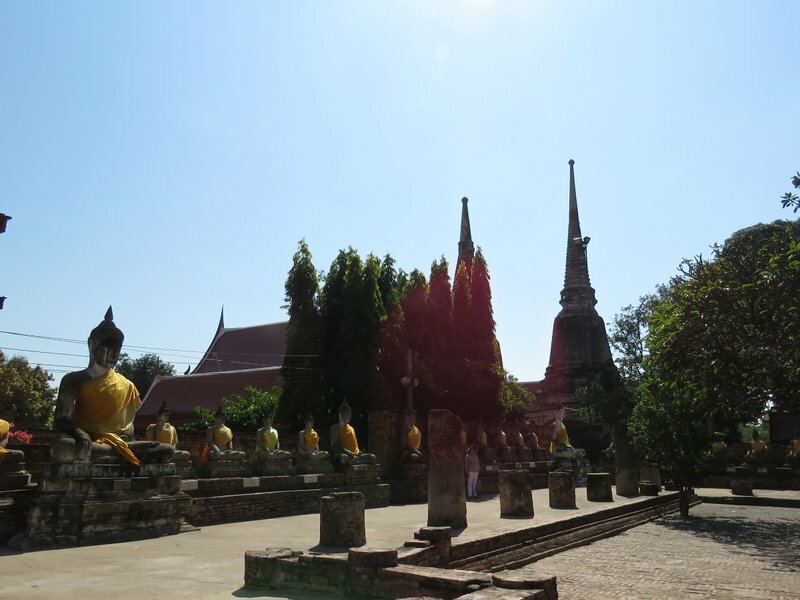 We then continued our journey, after passed by the downtown, we visited the Wat Yai Chai Mongkol. 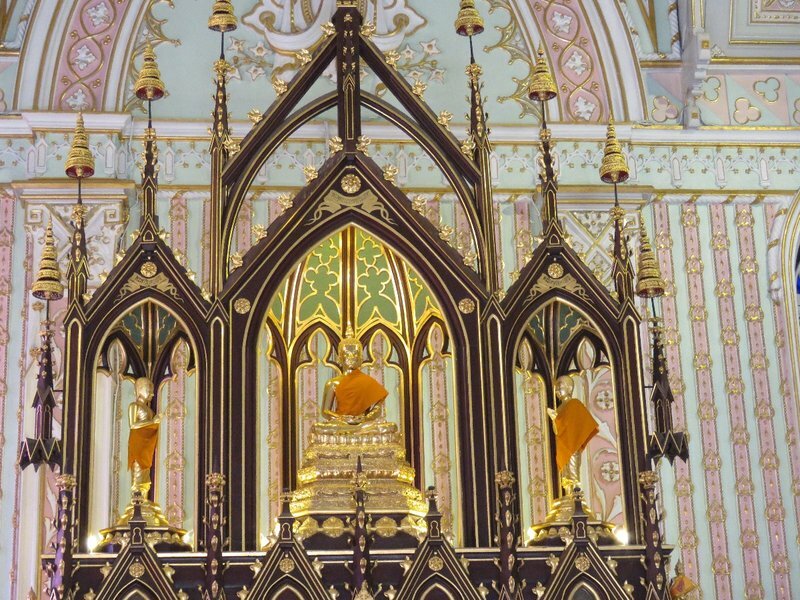 This Wat was built for the monks backed from CEYLON ( SRI LANKA) many years ago and famous for the Sleeping Buddha. 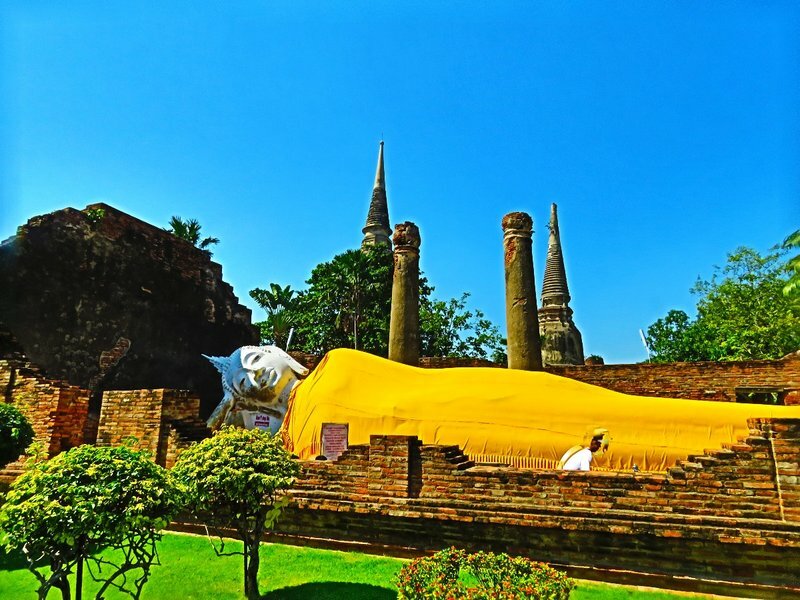 Actually, except for the outdoor Sleeping Buddha, the other Buddha statues and Tower were also special and unique. 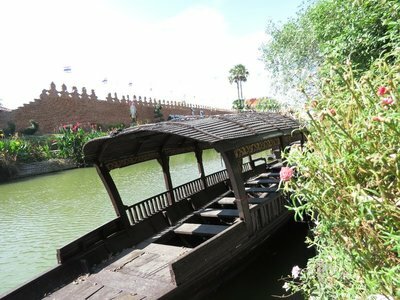 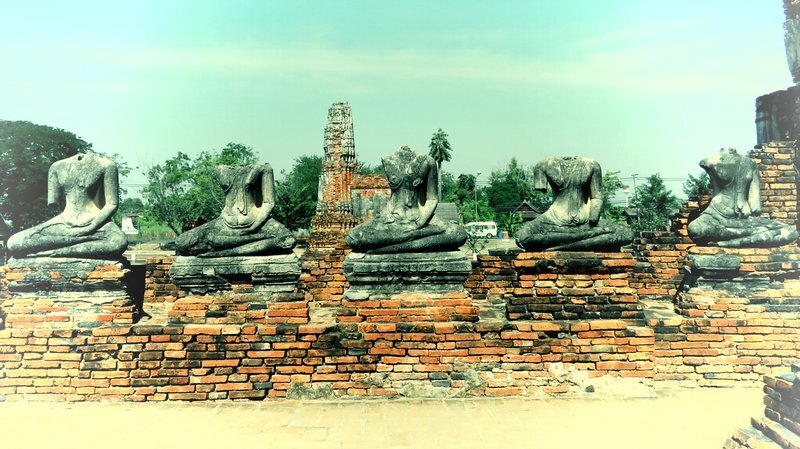 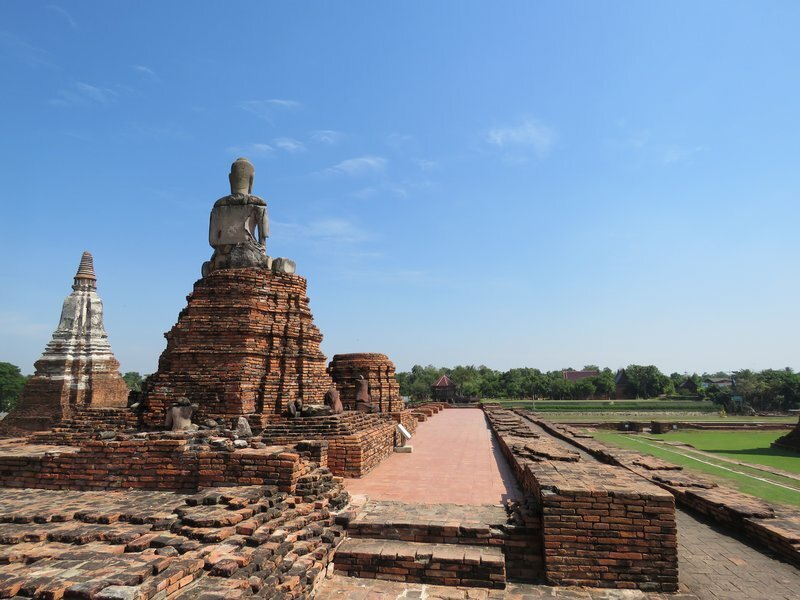 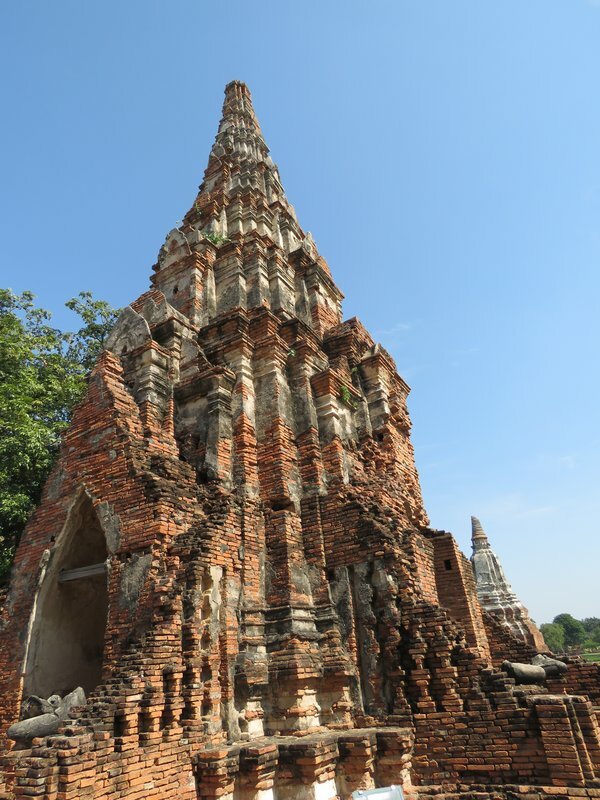 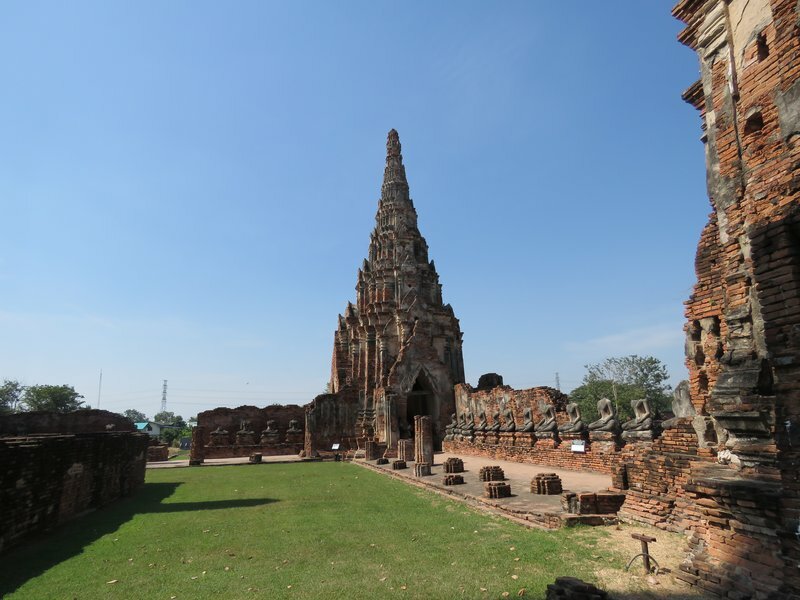 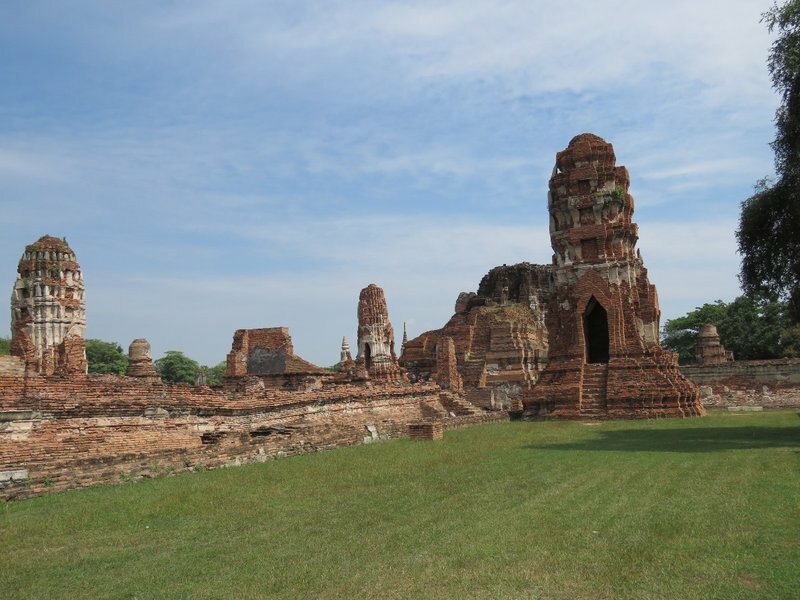 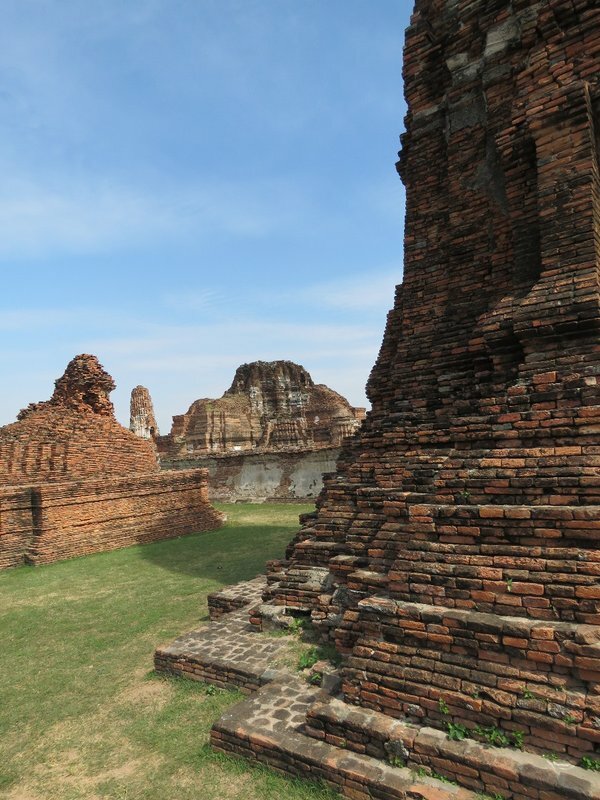 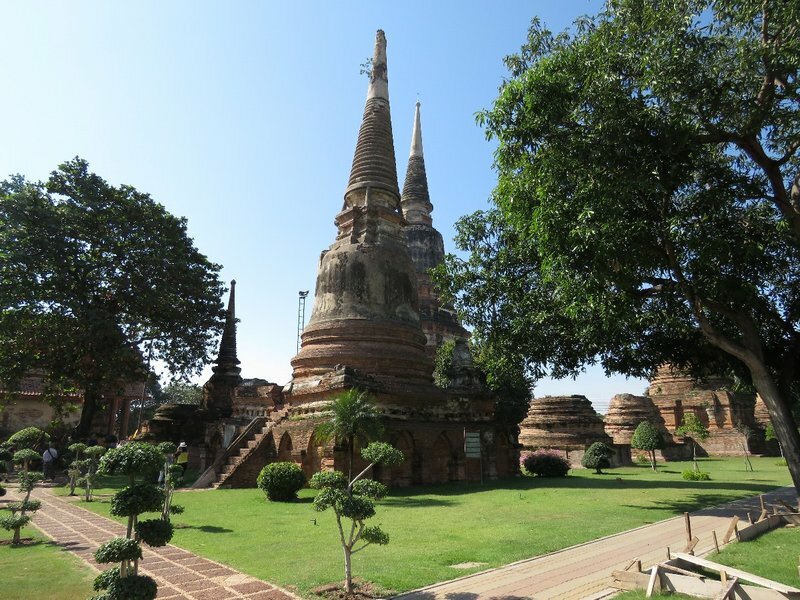 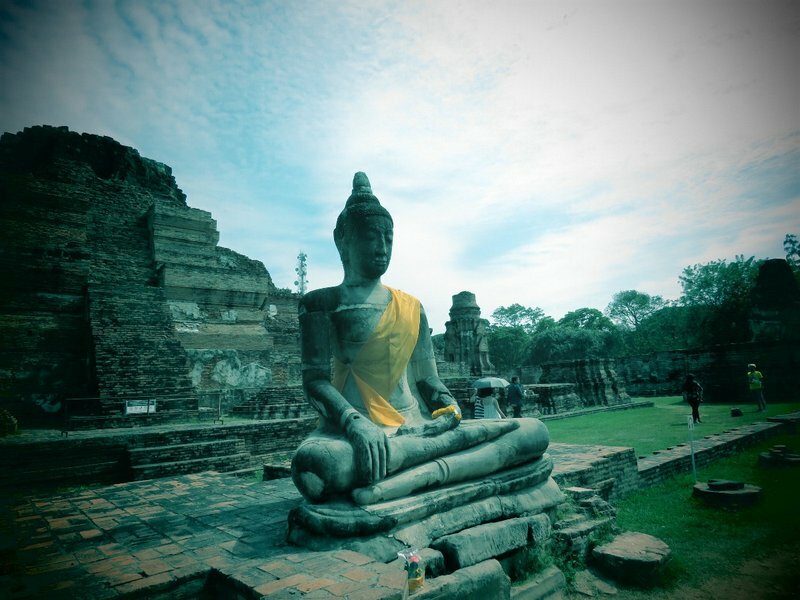 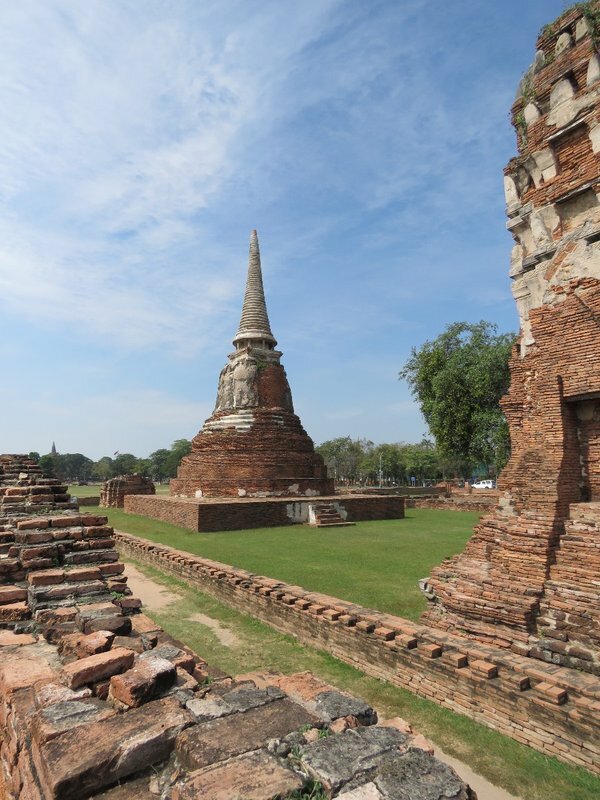 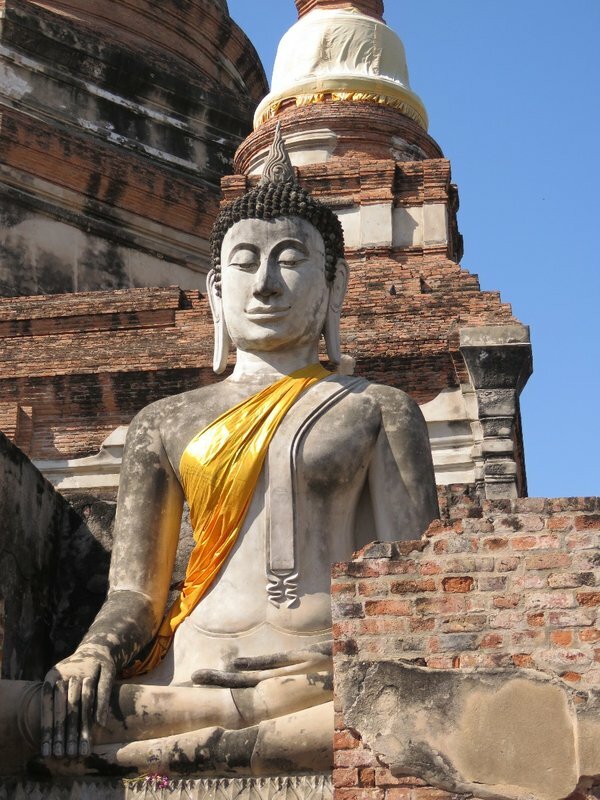 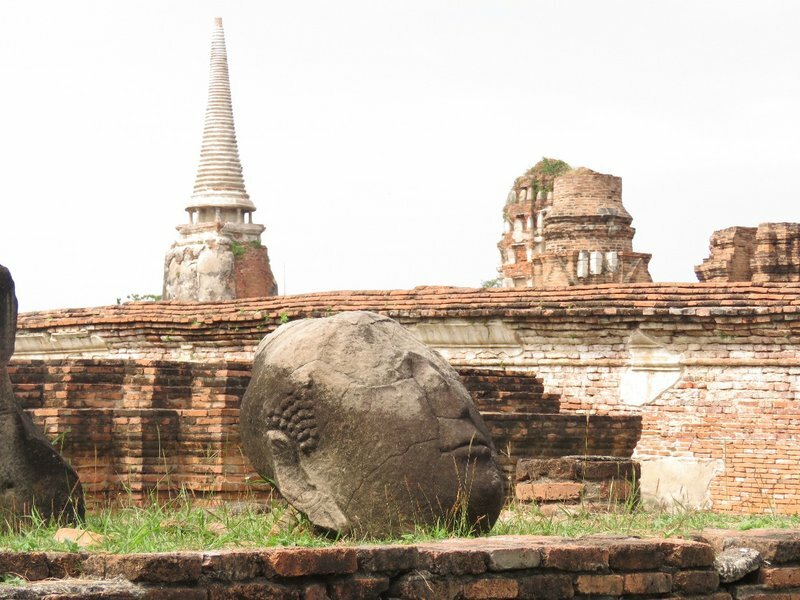 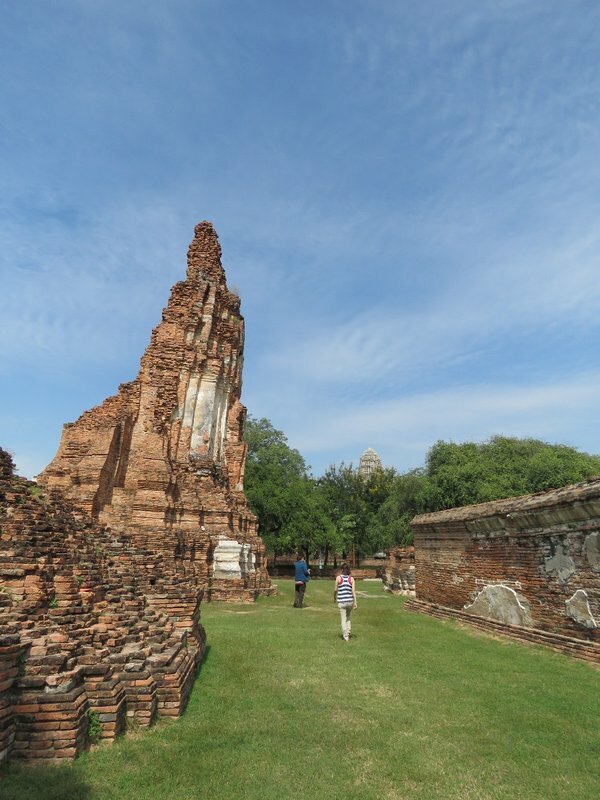 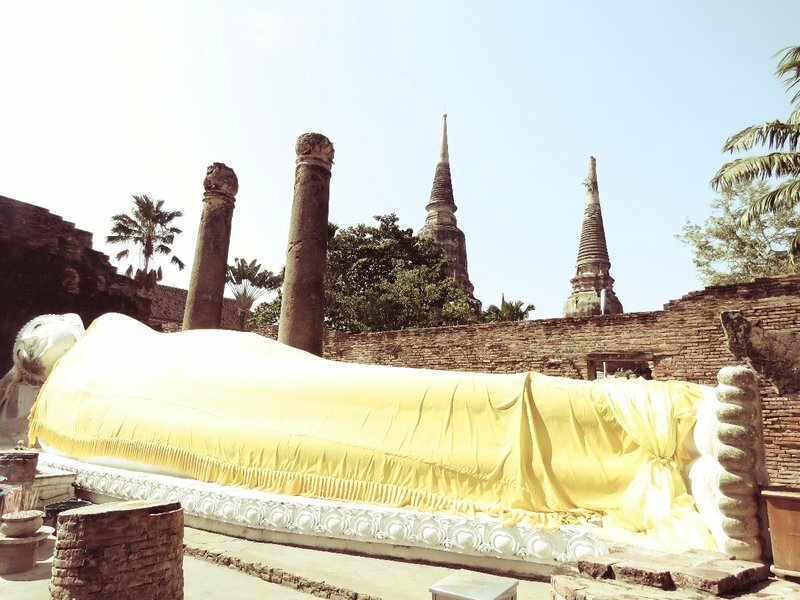 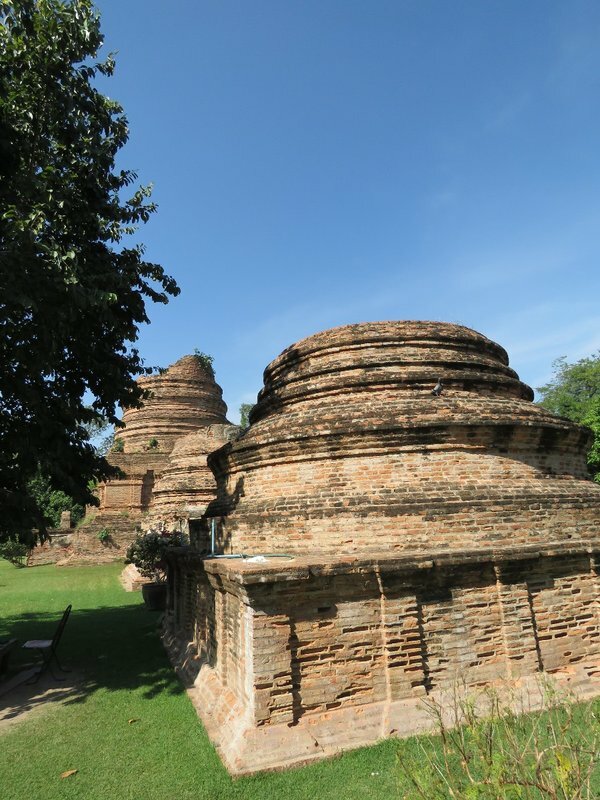 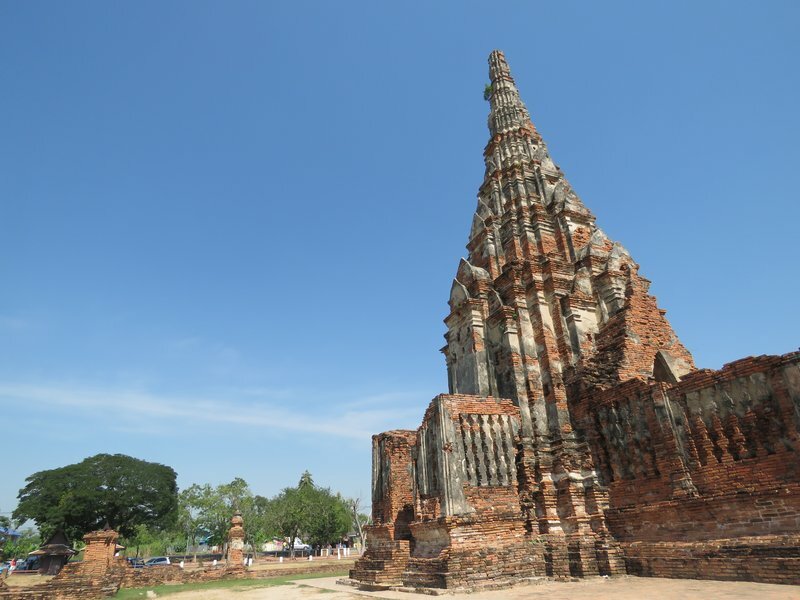 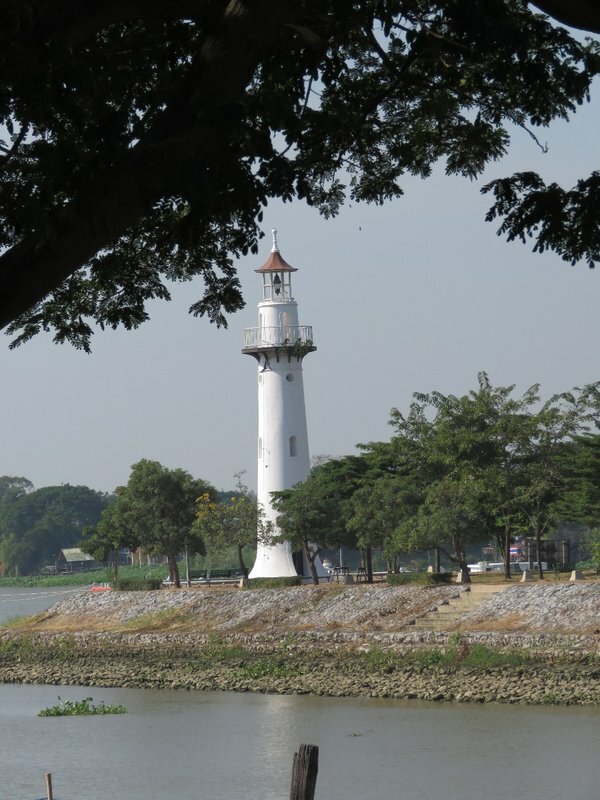 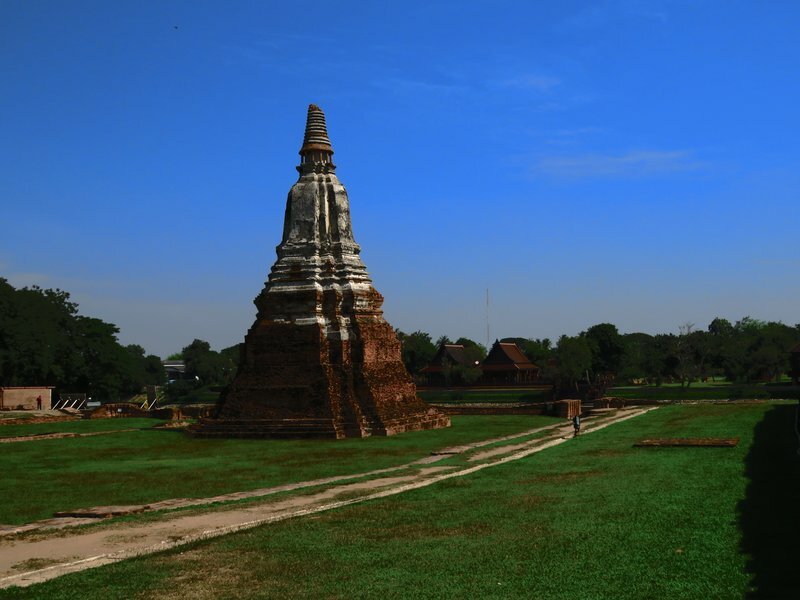 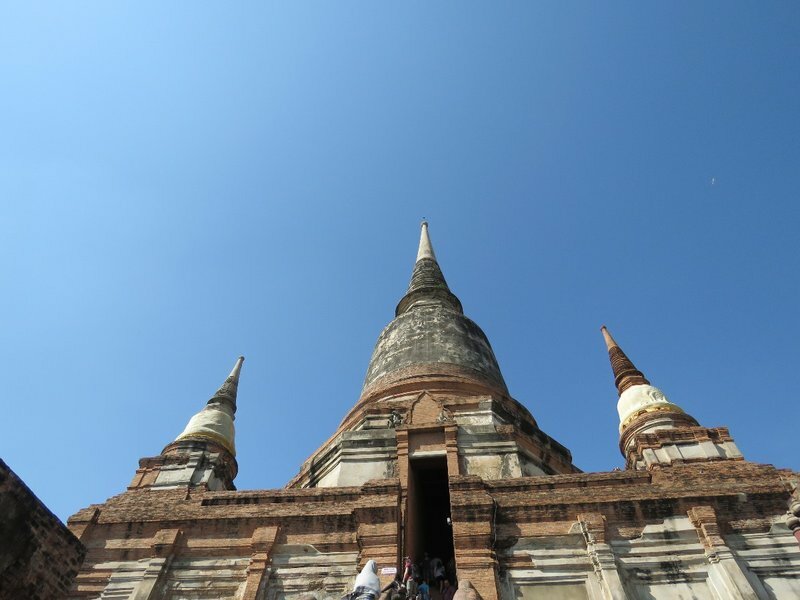 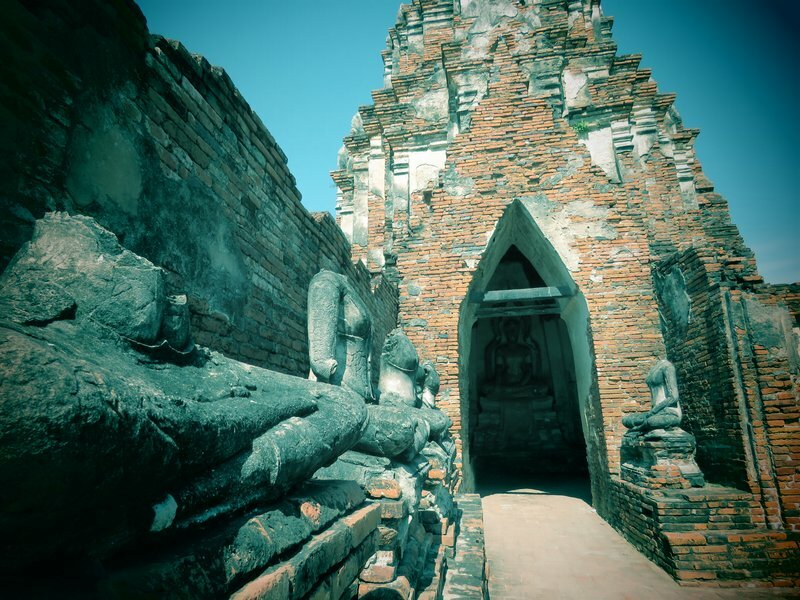 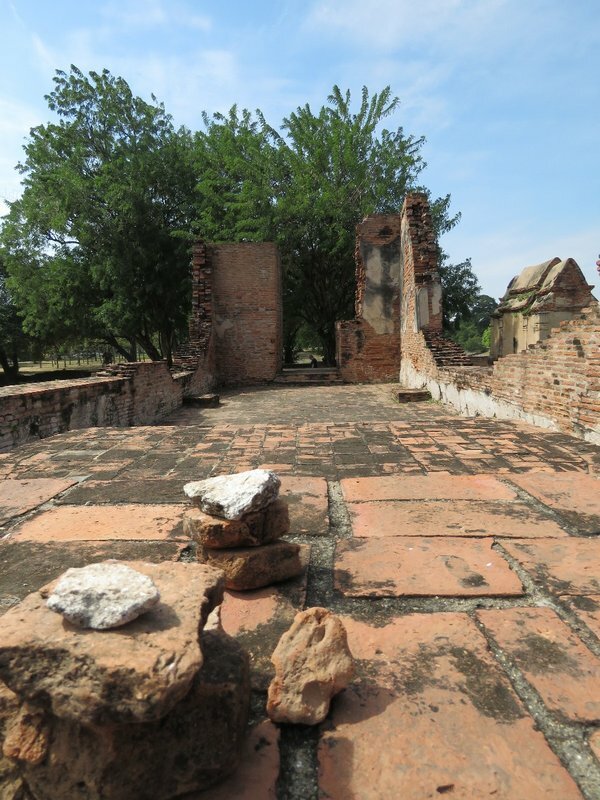 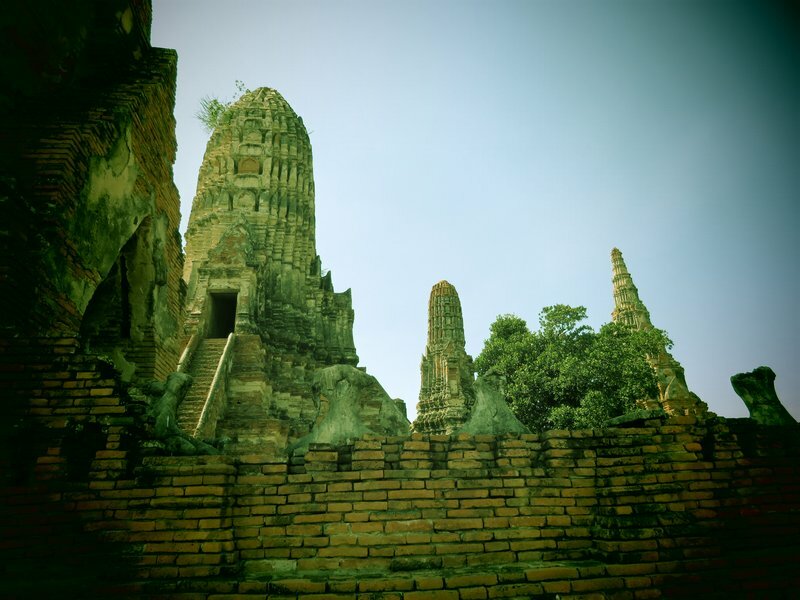 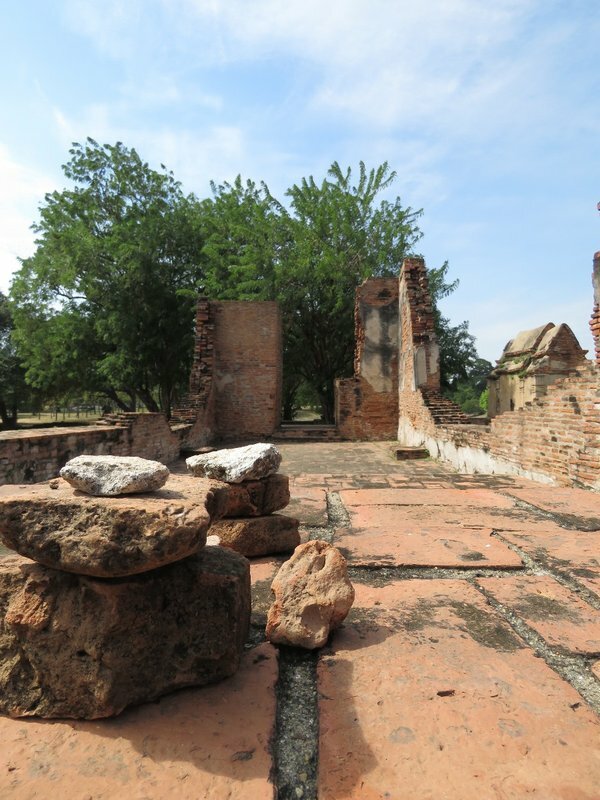 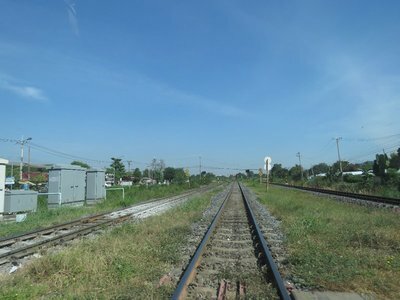 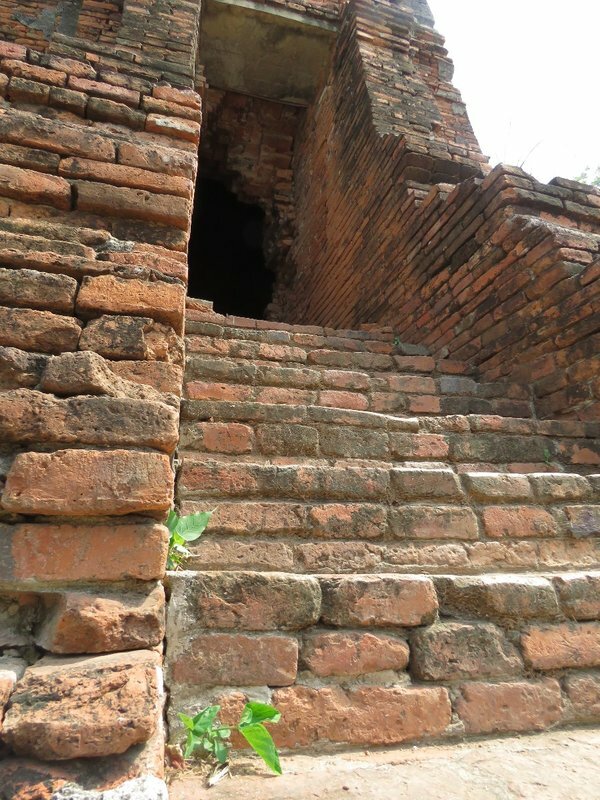 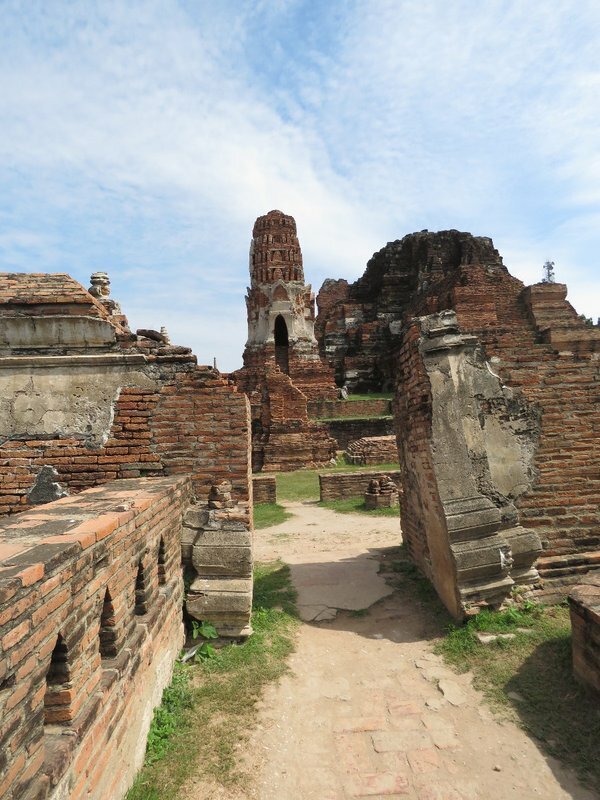 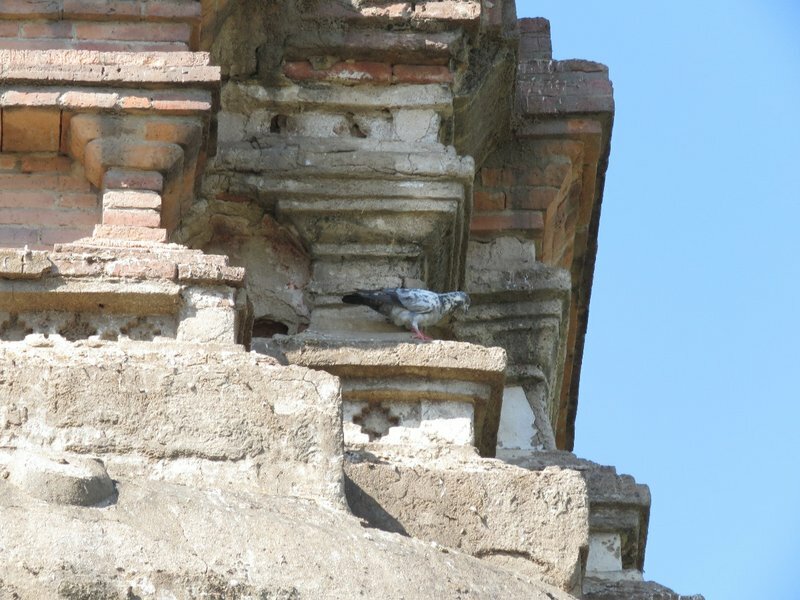 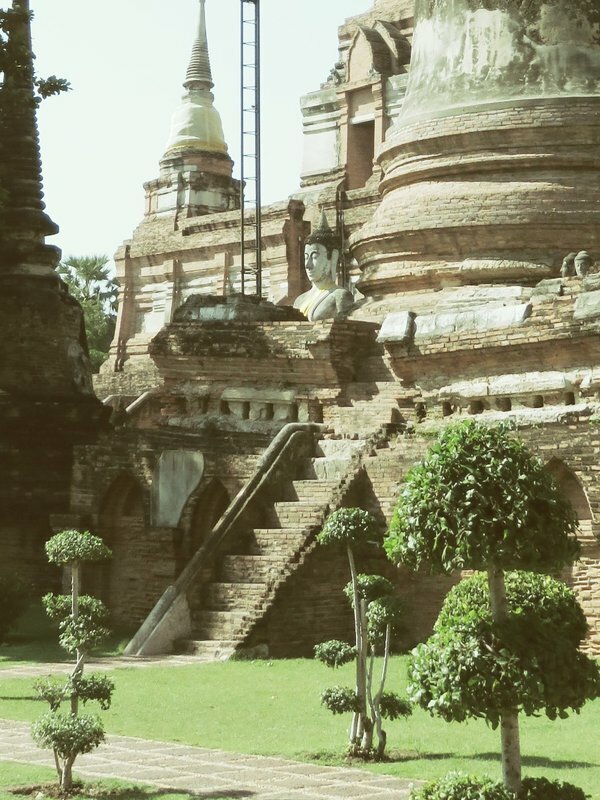 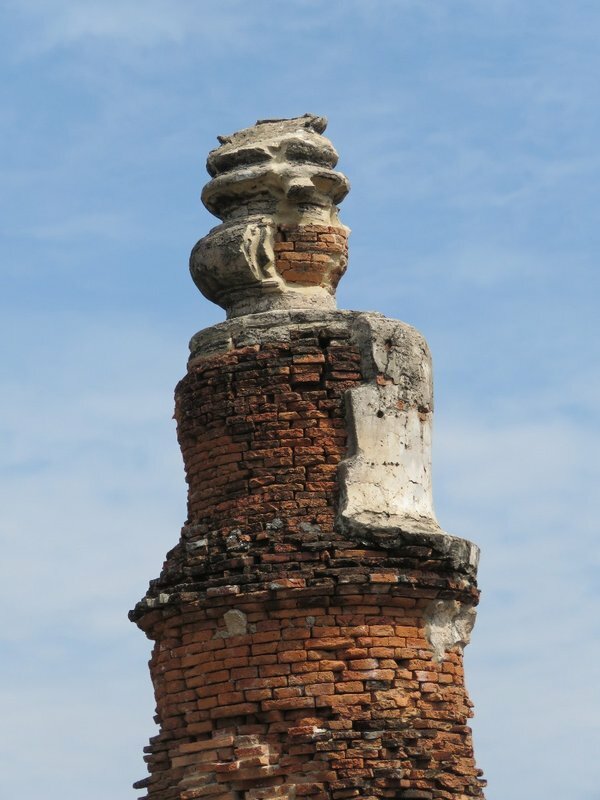 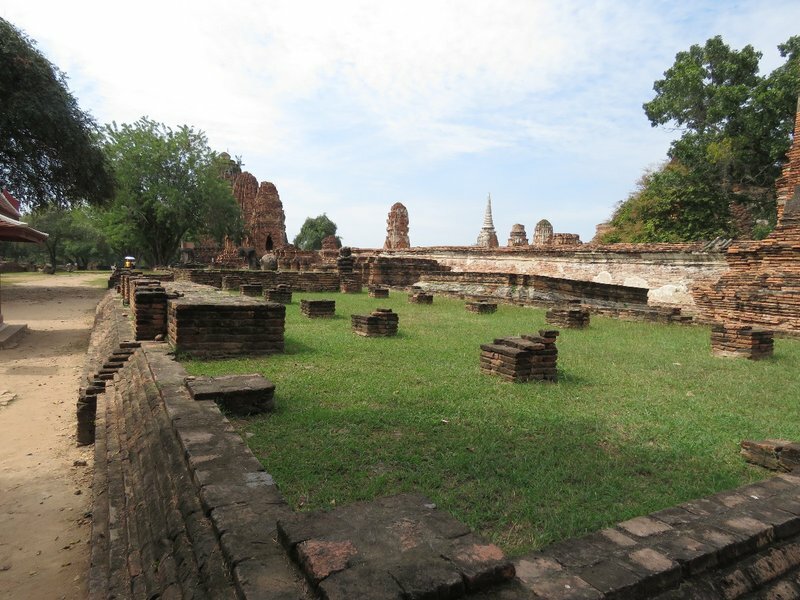 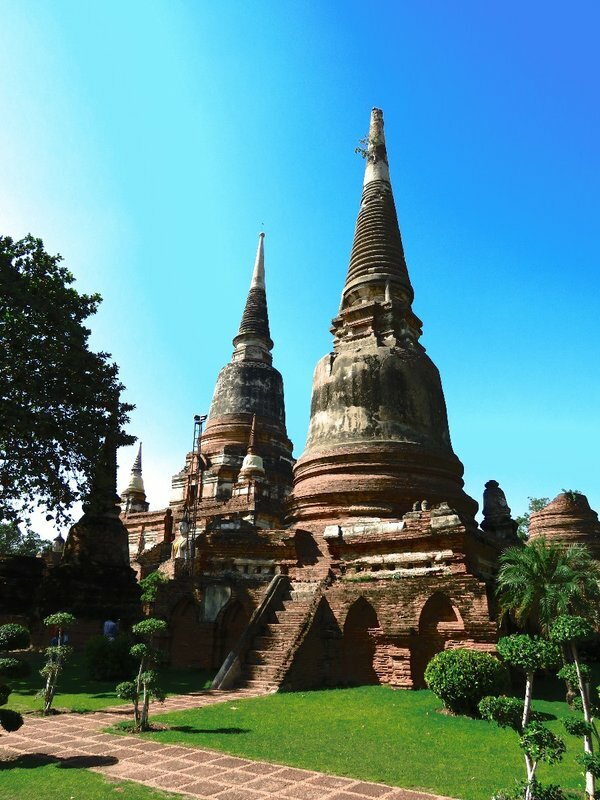 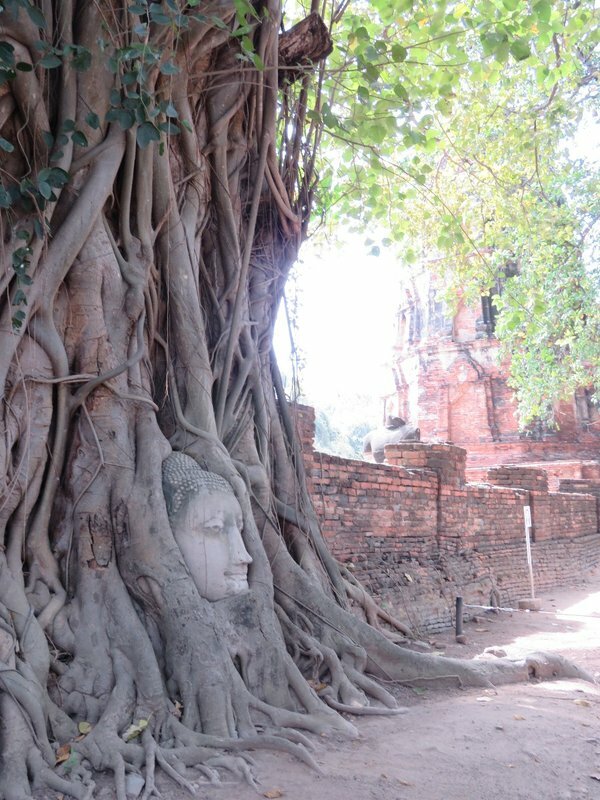 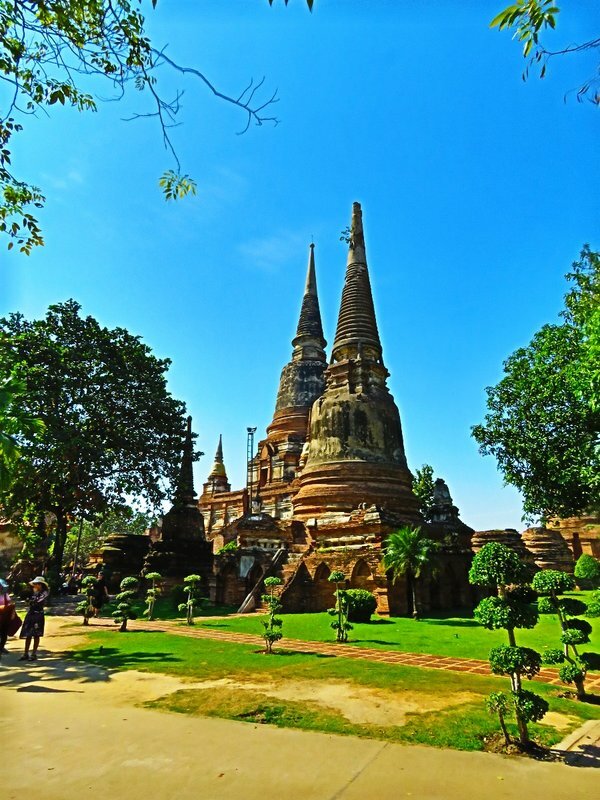 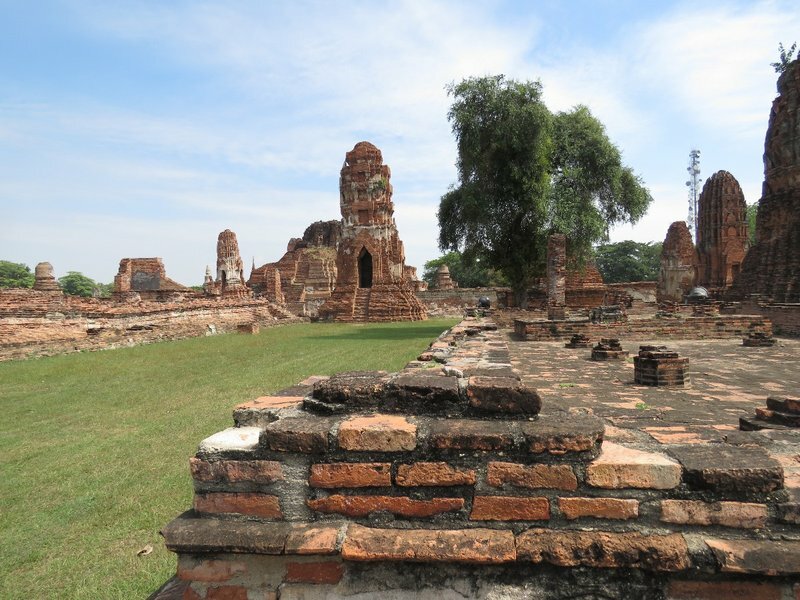 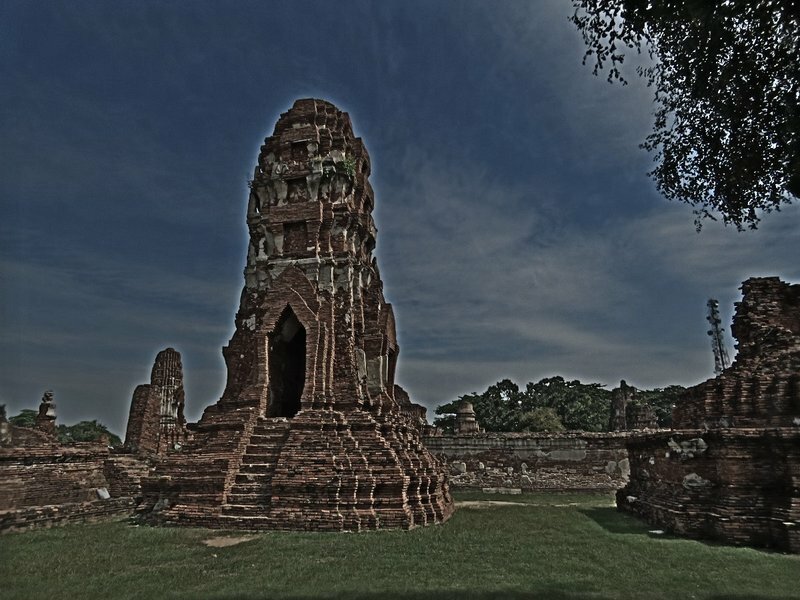 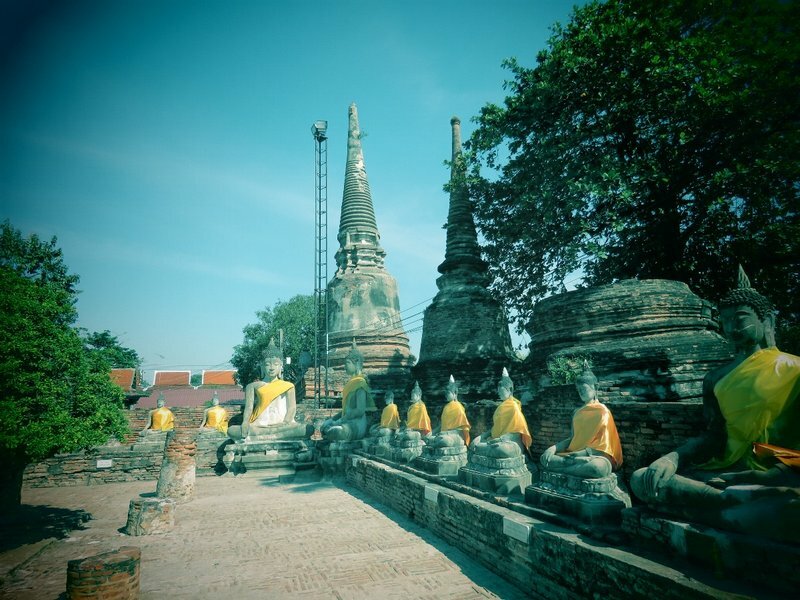 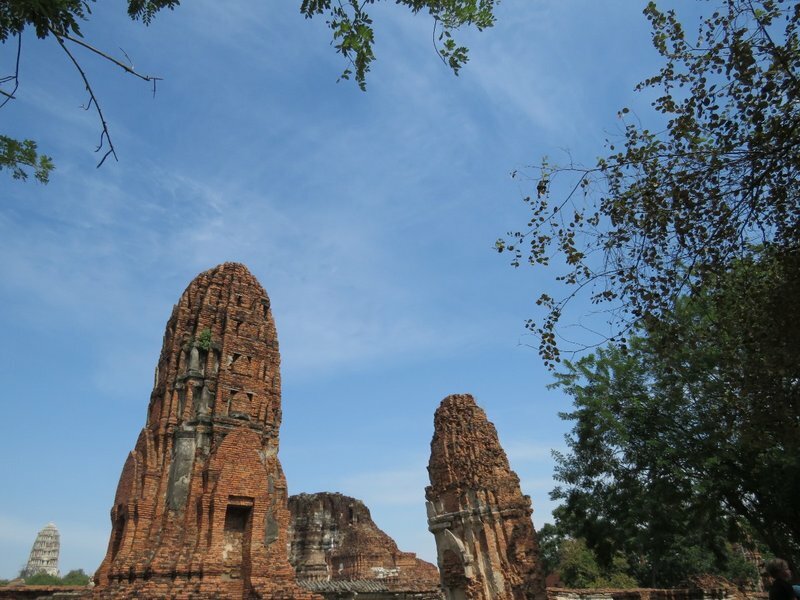 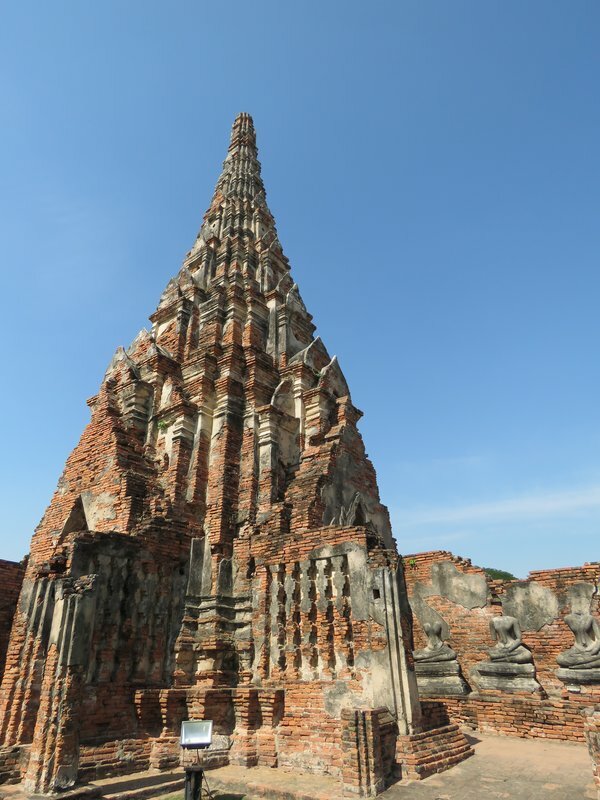 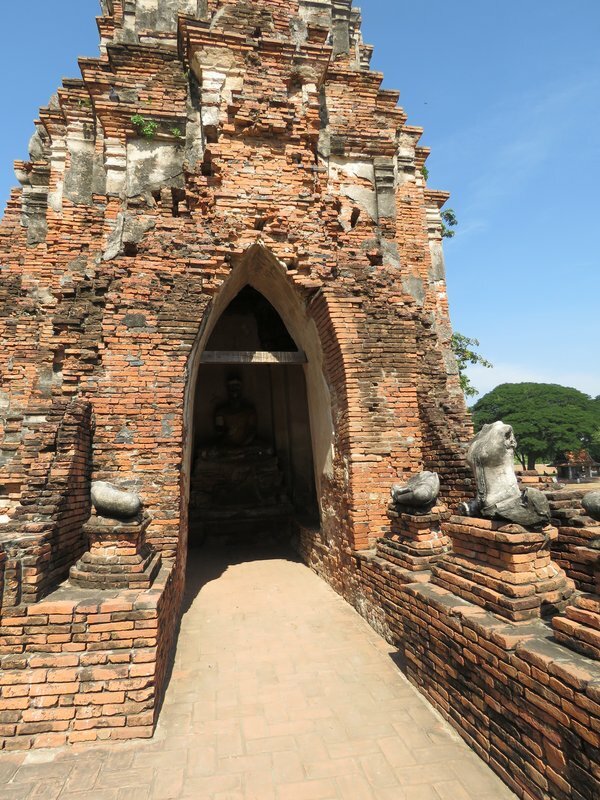 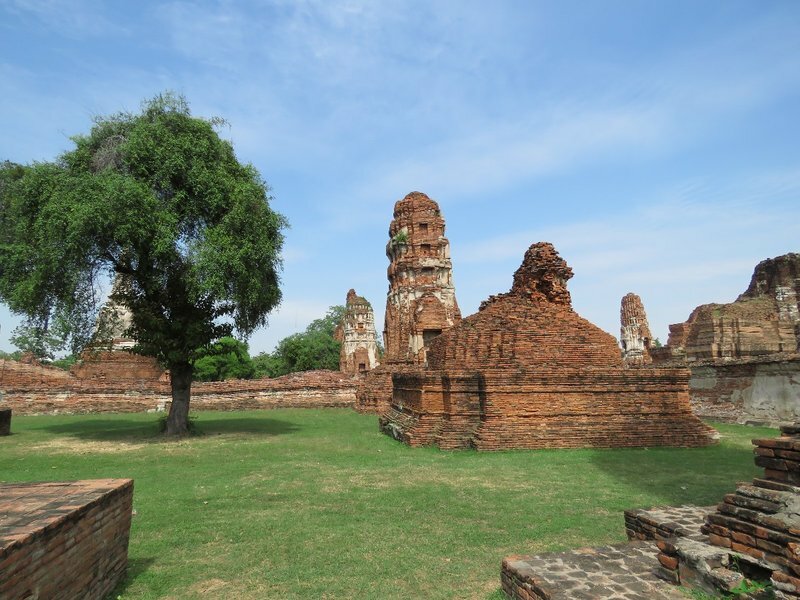 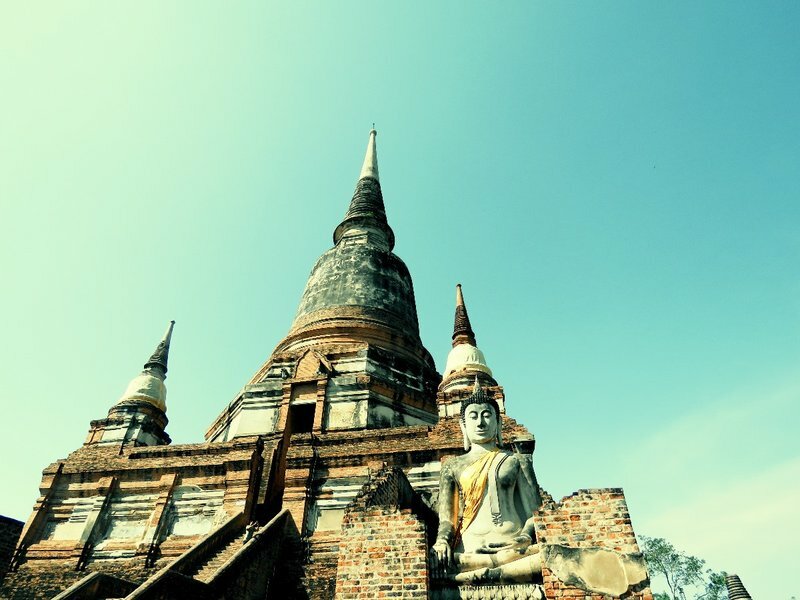 Although Ayutthaya was a former capital, however, all the ruins in the Ayutthaya are not far away. 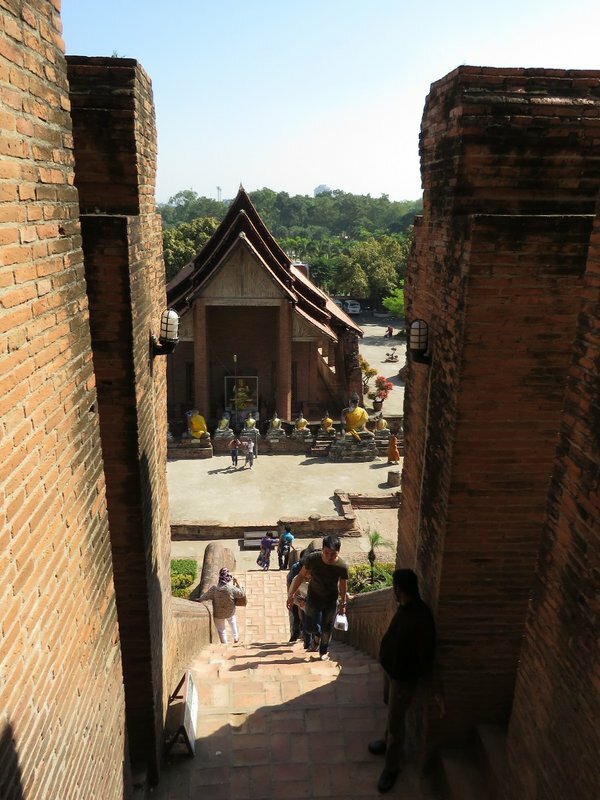 After a short ride, we then arrived the second Wat, Wat Chaiwatthanaram. 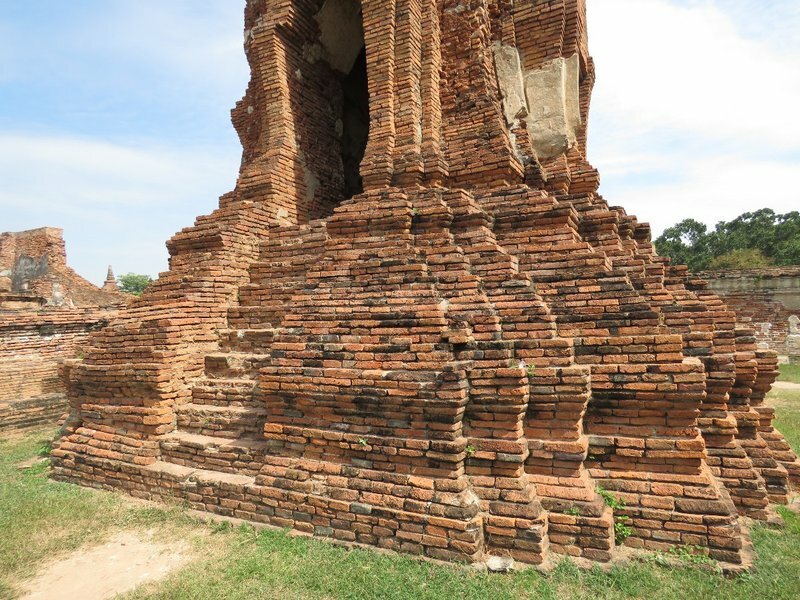 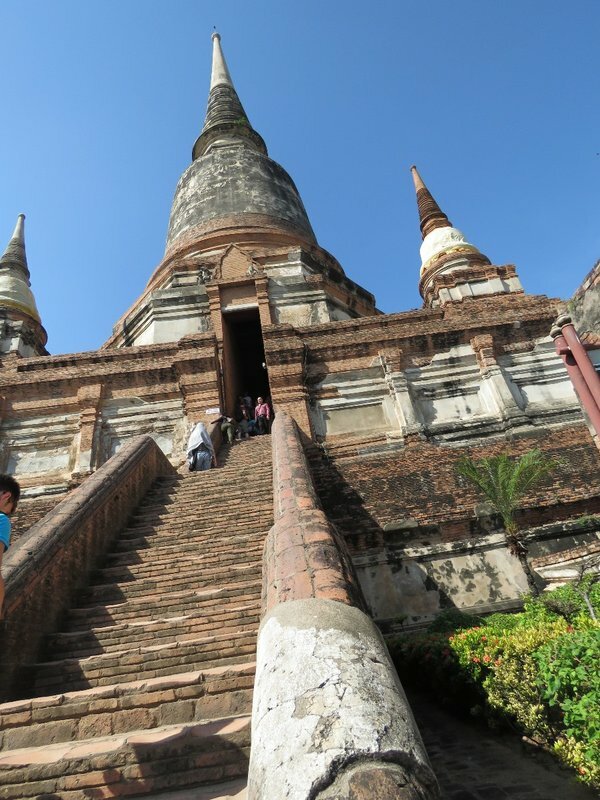 This Wat is a bit like Ankar Wot and this architecture shown the art and building skills of ancient Thailand. 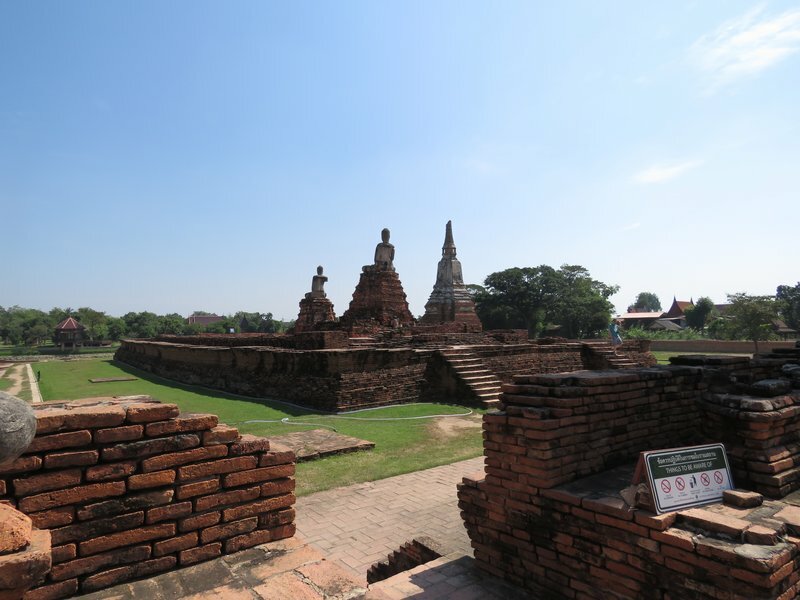 Again, it was very hot and sunny in Ayutthaya, I am not understood why the Tourism Board of Thailand was recommended tourist to borrow bicycle to visit these wats. 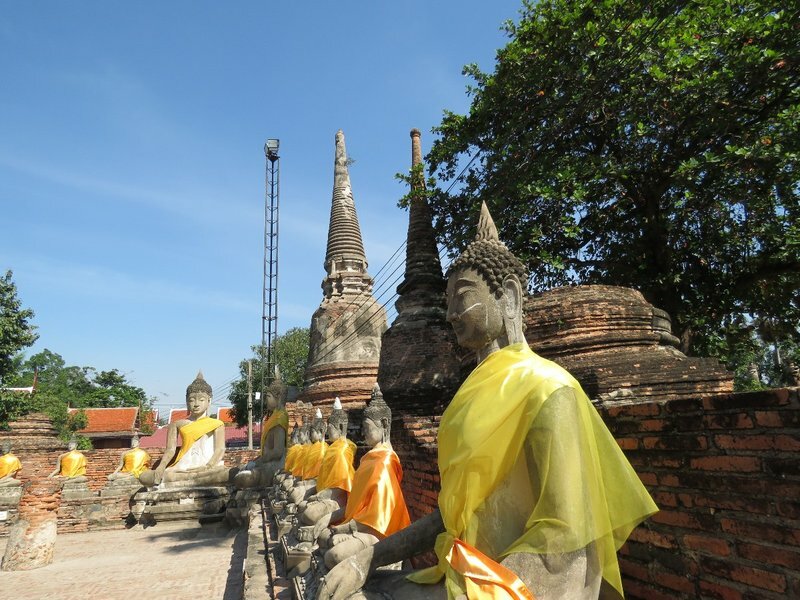 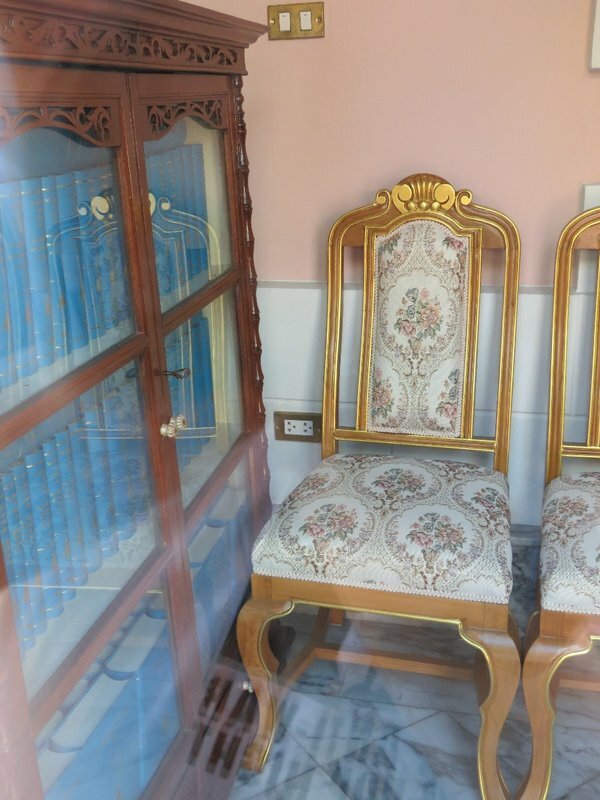 I think it is better to rent a tuk tuk car or join the local tour for the journey. 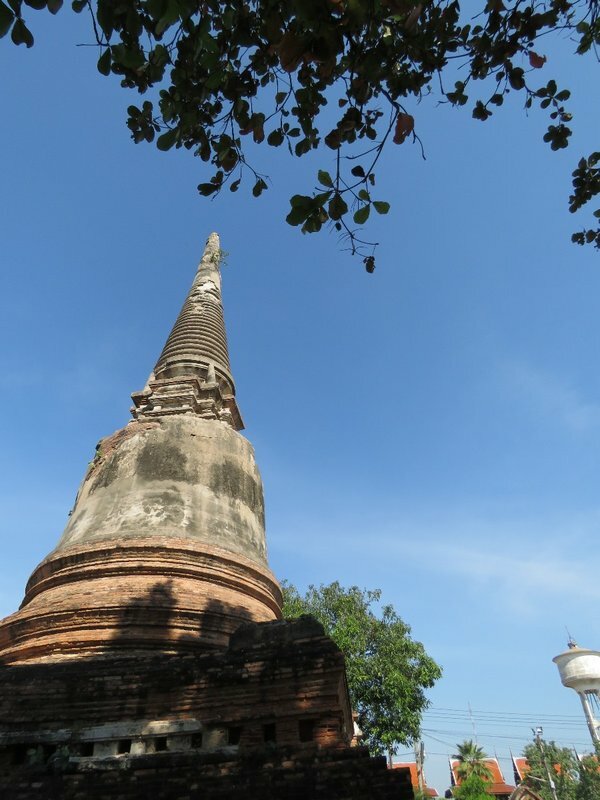 We bought a special coconut ice-cream with durian favor in Wat Mahathat. 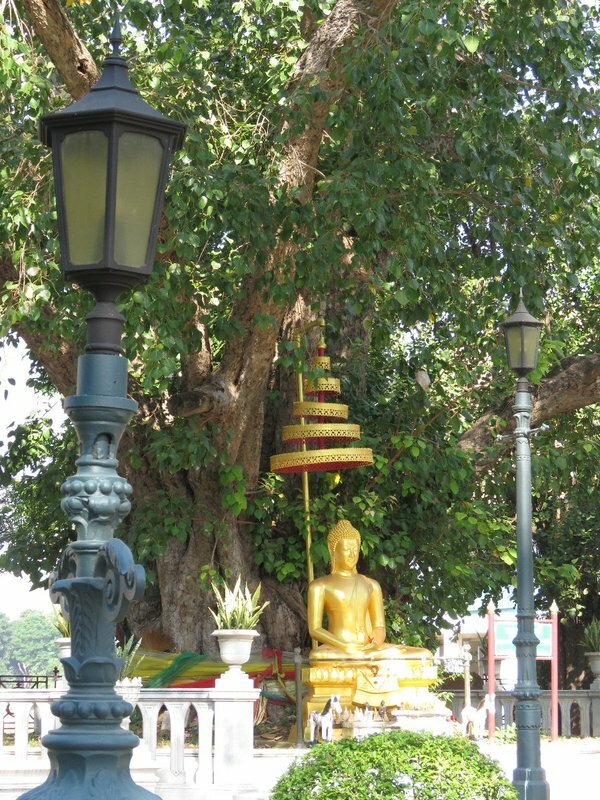 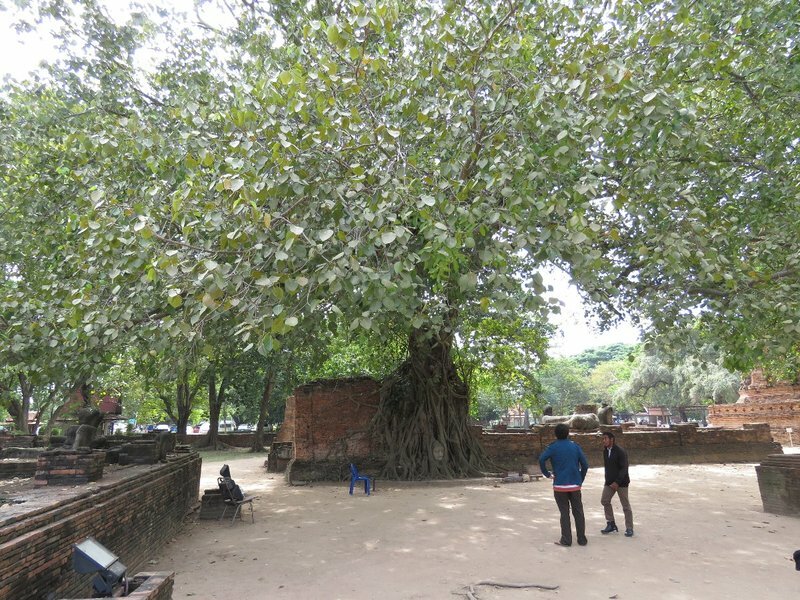 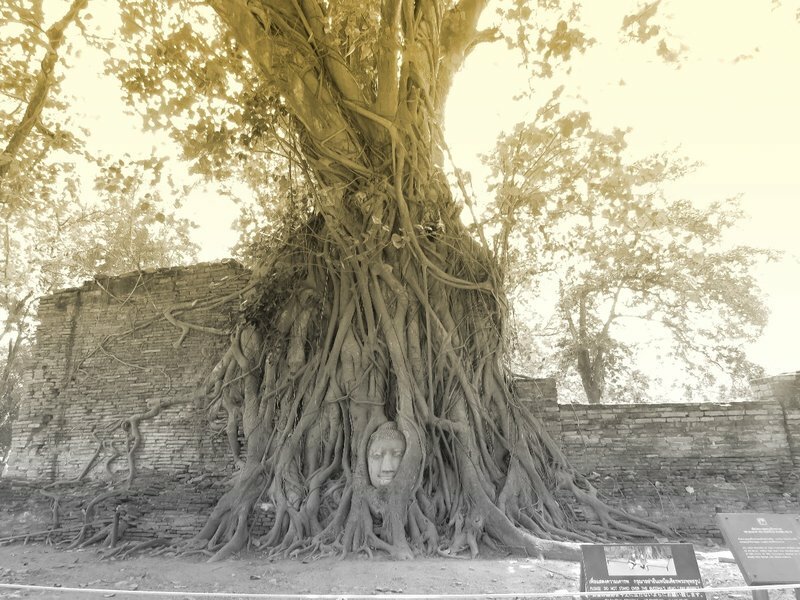 Wat Mahathat is famous for the ”Buddha head tree”. 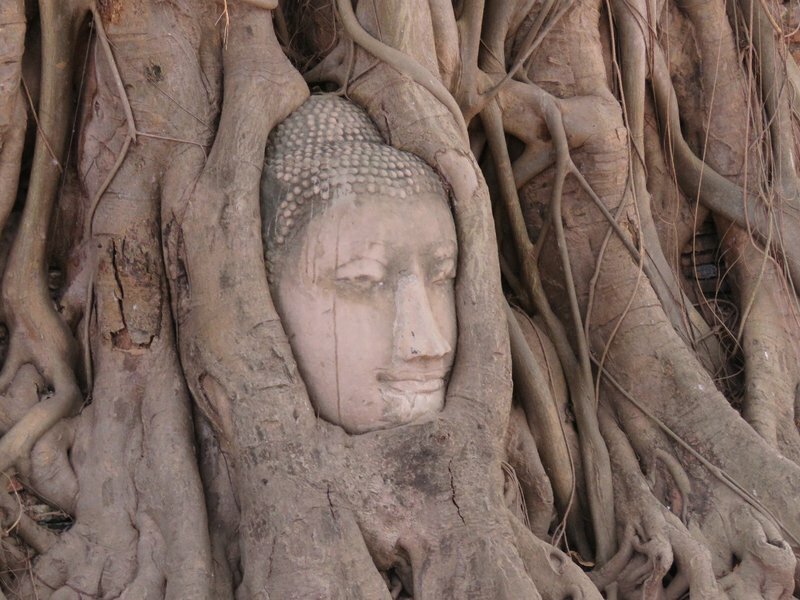 I was thought it’s a small wat and only have a ”Buddha head tree”. 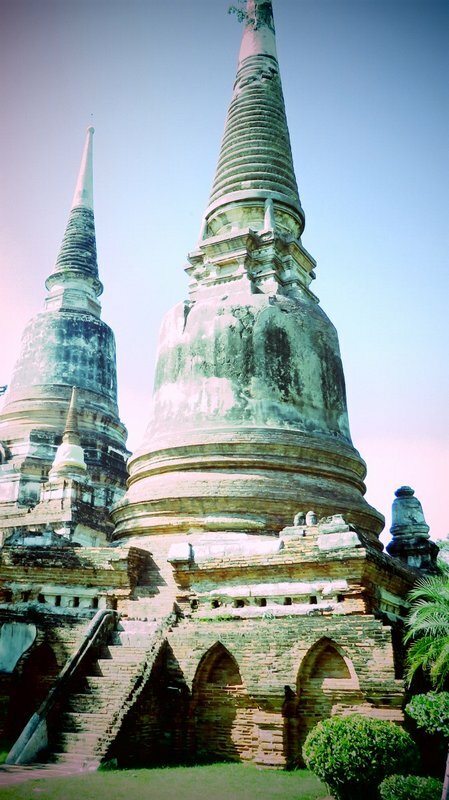 However, it’s a big wat with many wat. 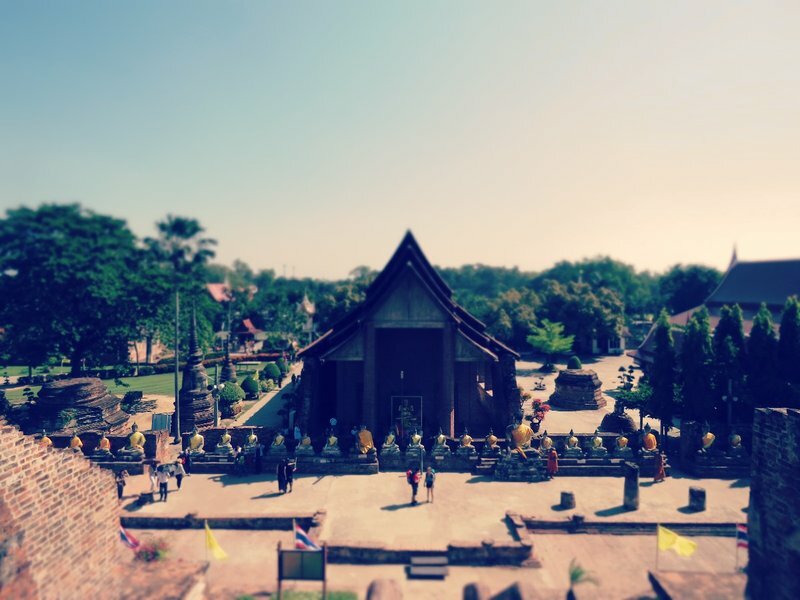 After visiting this wat, it was time to have lunch and got rid of the sun shine. 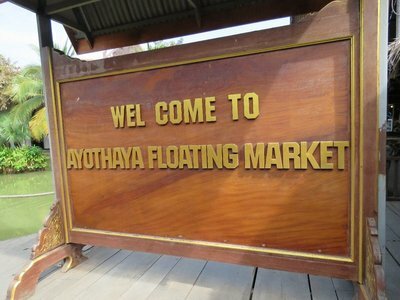 We went to the Ayutthaya Floating Market. 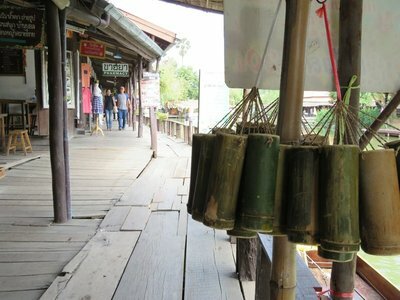 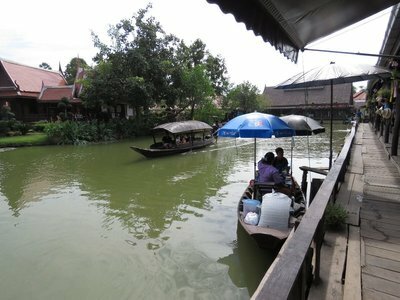 This Floating Market is a modernize market and actually the hawkers are not selling food and souvenirs in the boat. 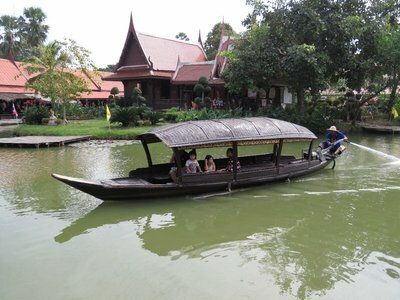 The boat is just a decoration and the boats are mainly for sight-seeing. 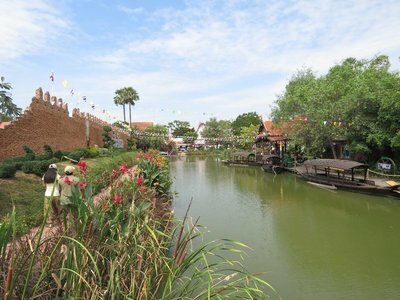 But other than that, this location is a good place to having a lunch. 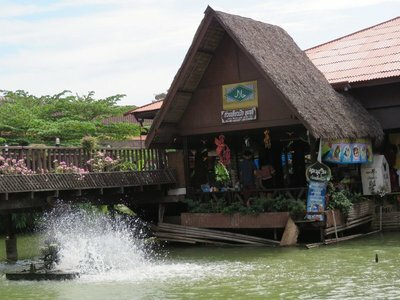 We back to Bangkok after lunch at around 2.